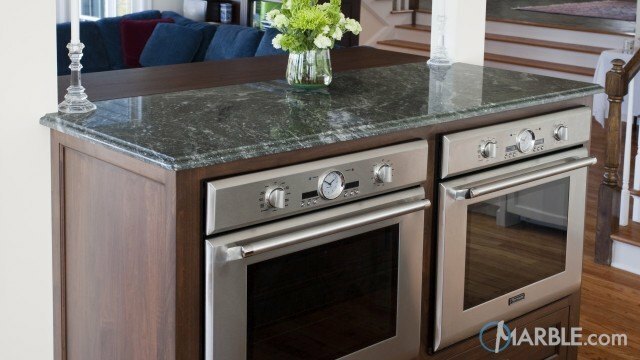 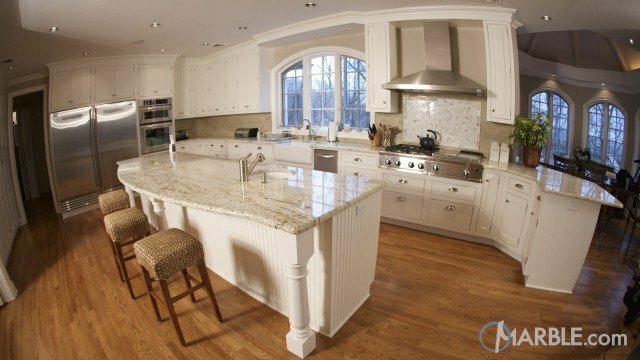 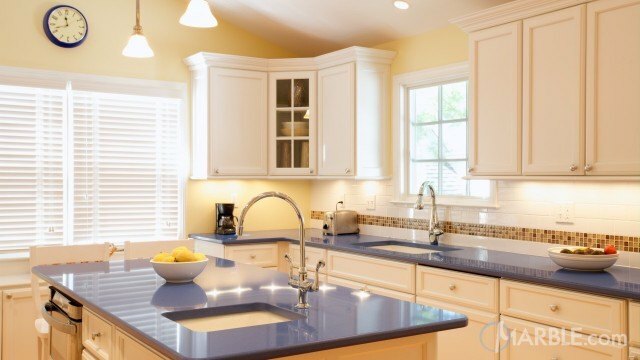 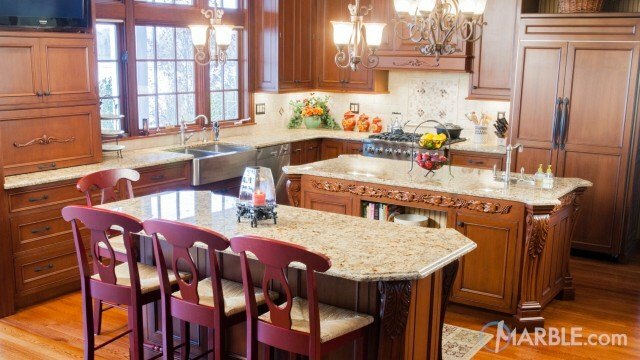 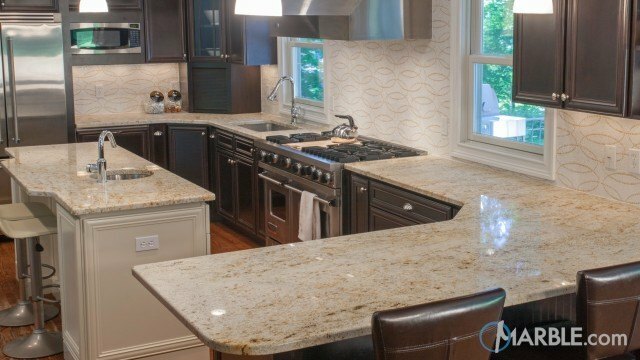 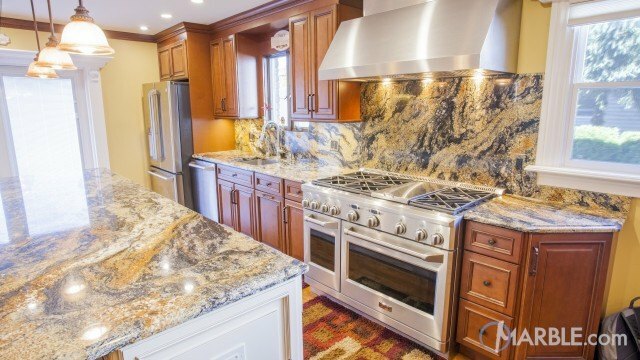 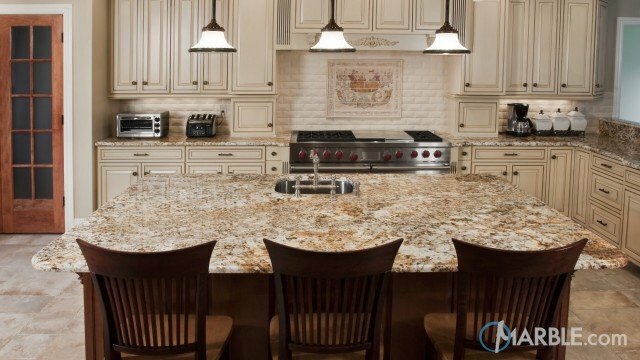 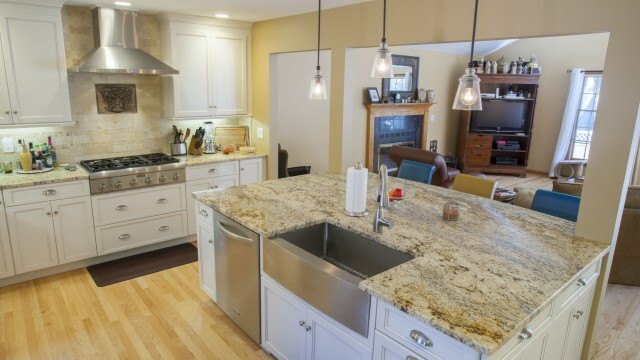 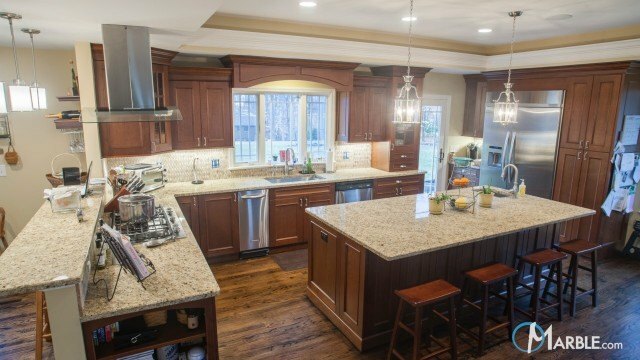 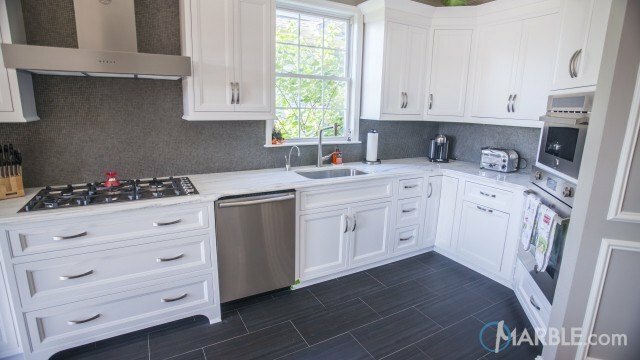 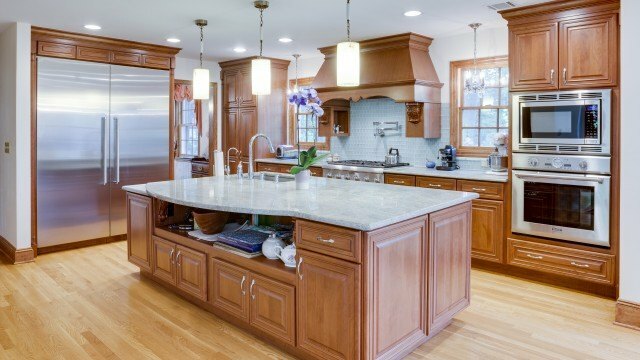 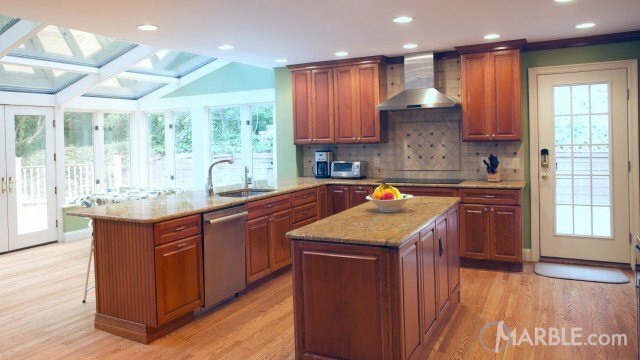 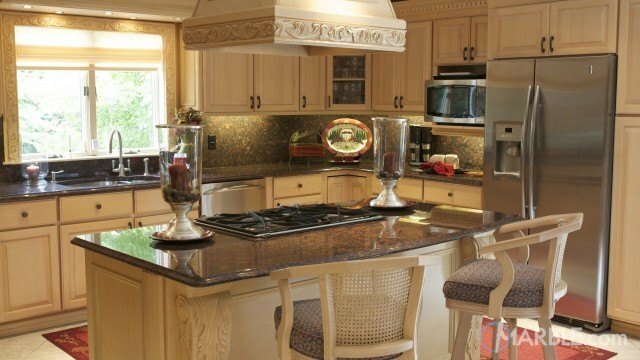 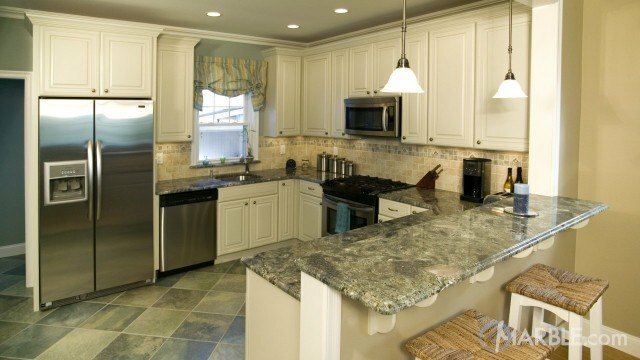 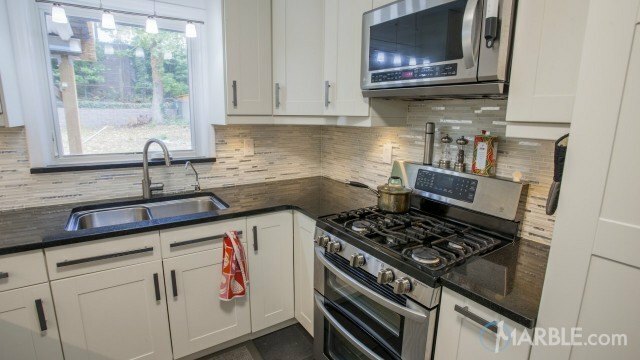 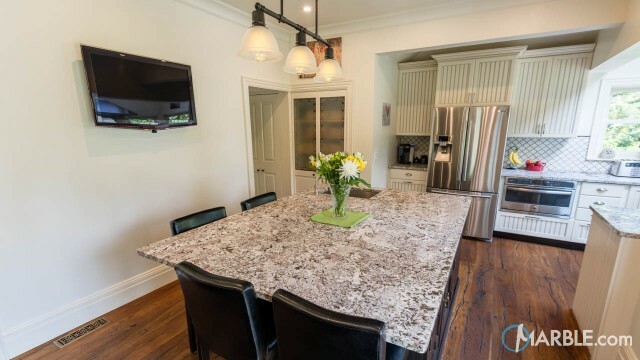 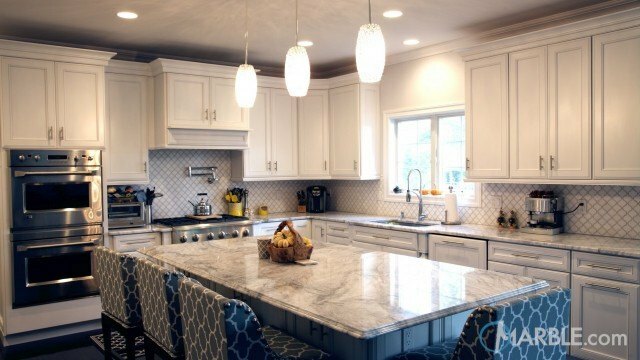 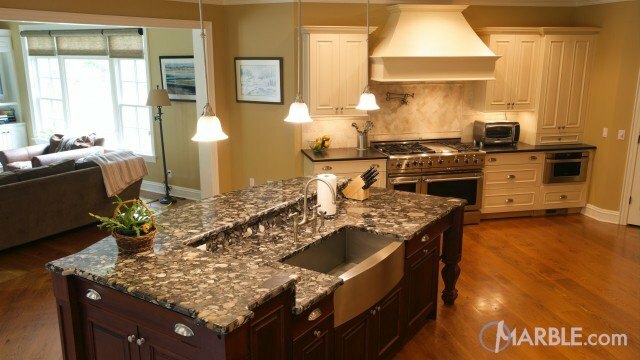 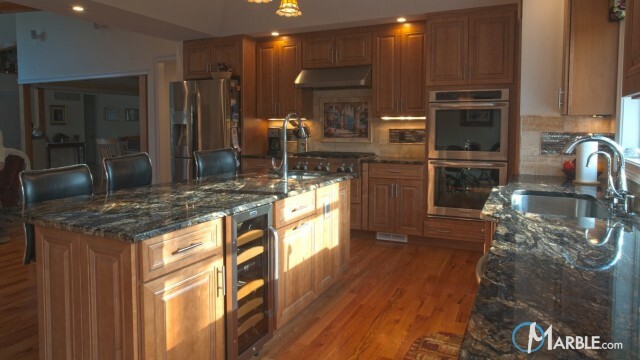 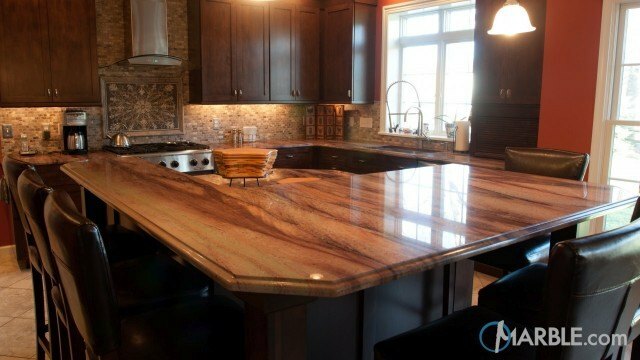 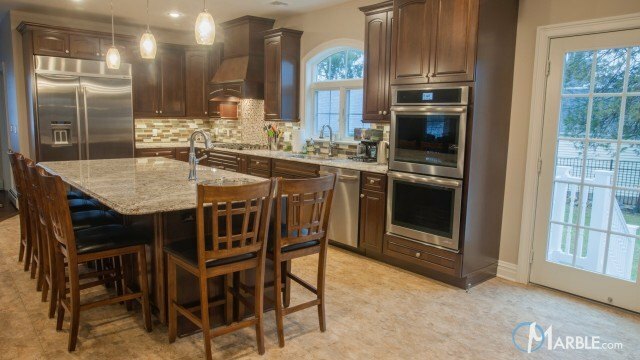 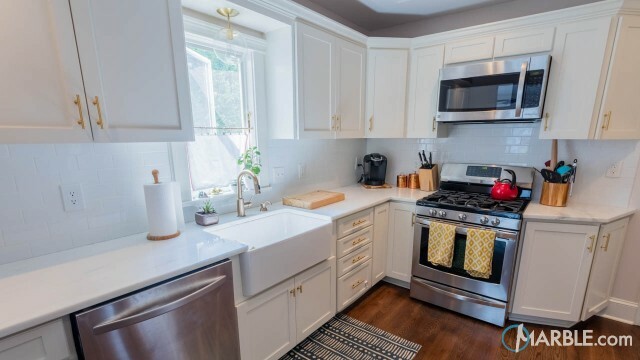 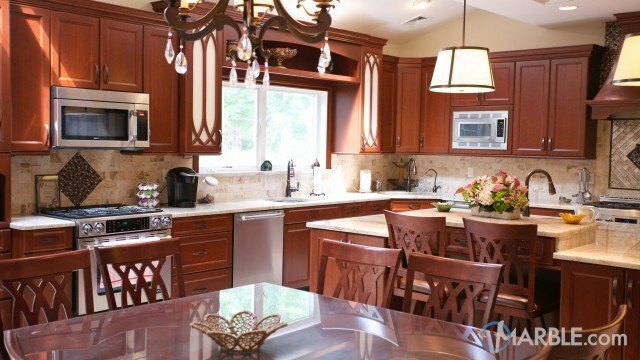 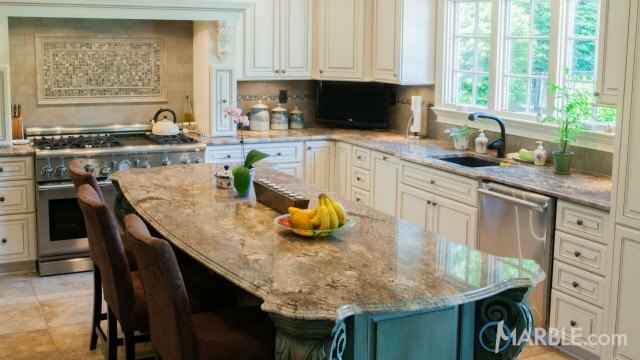 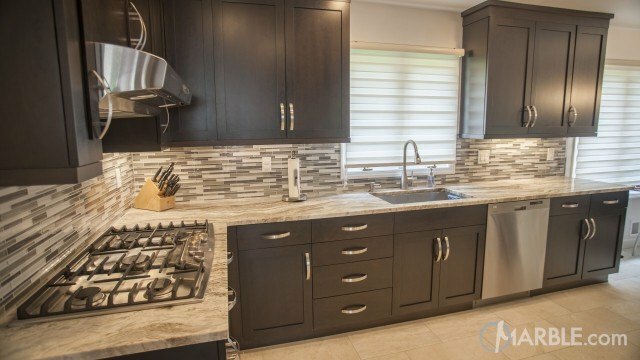 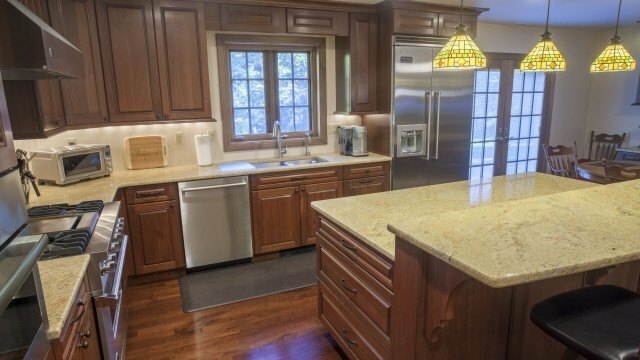 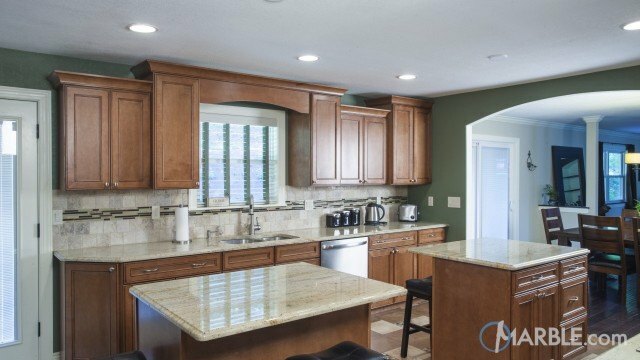 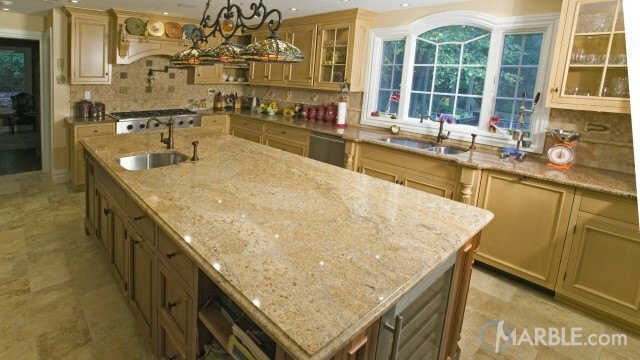 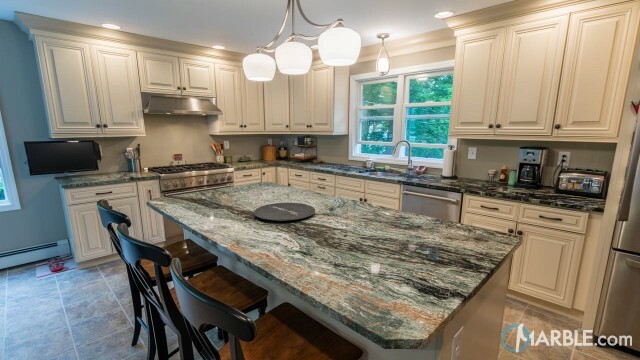 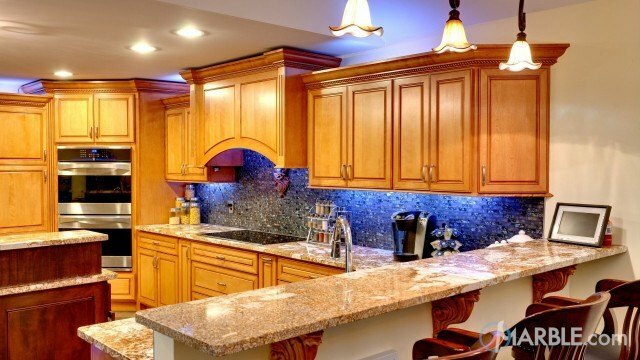 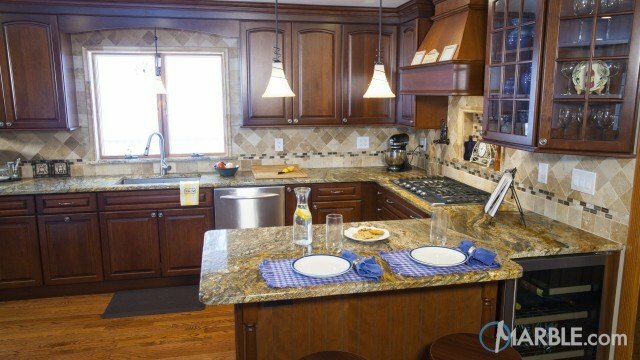 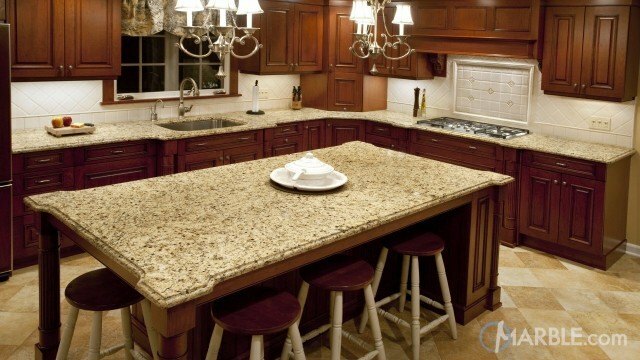 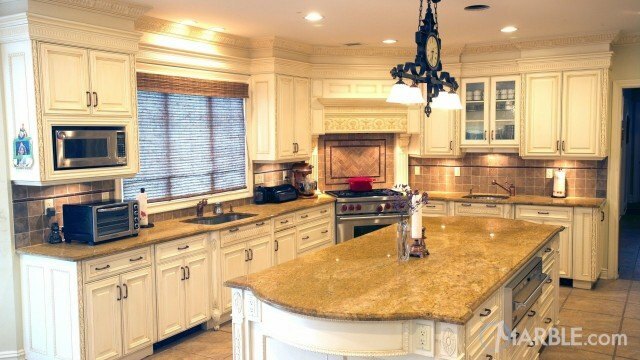 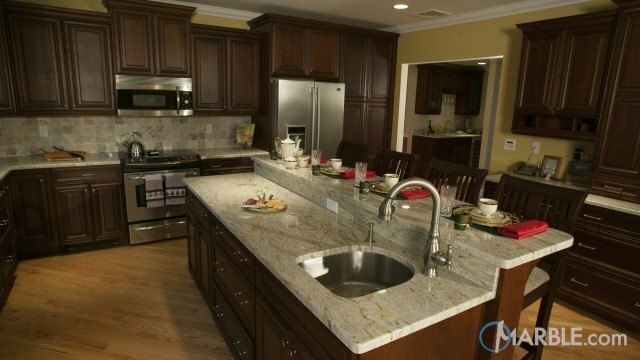 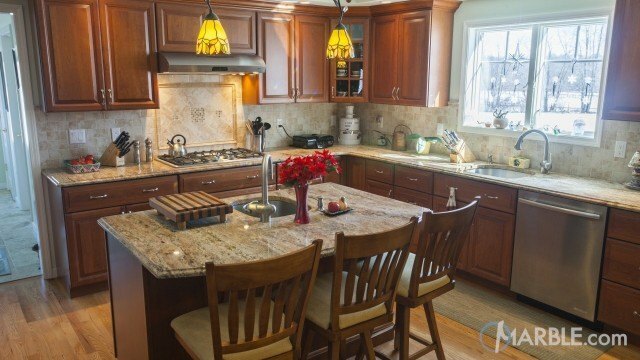 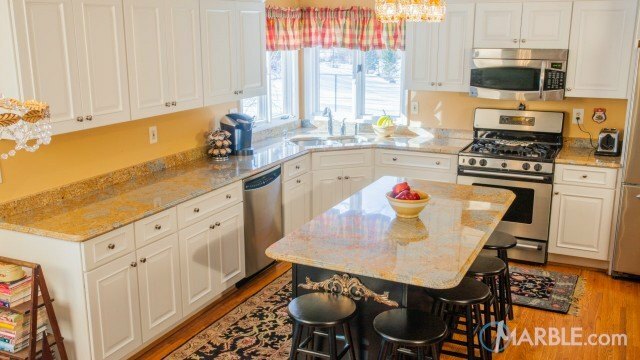 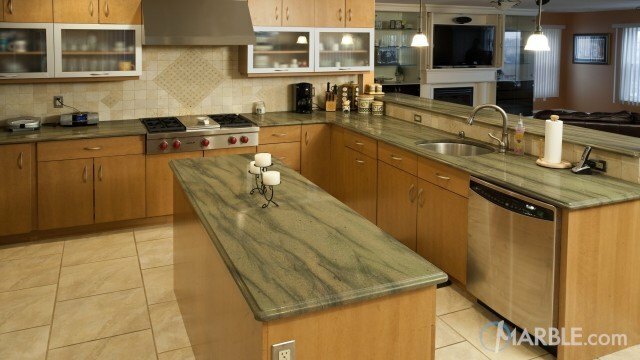 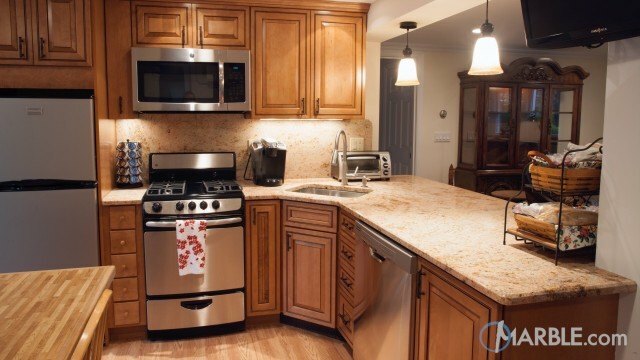 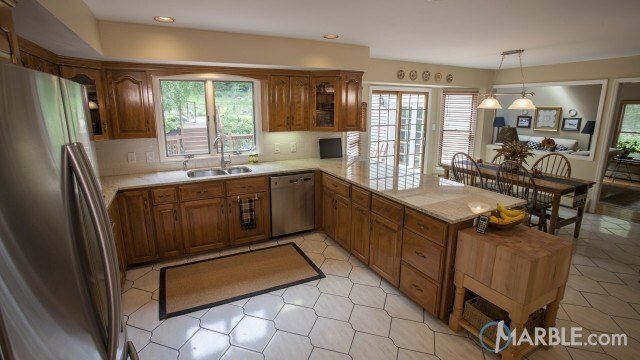 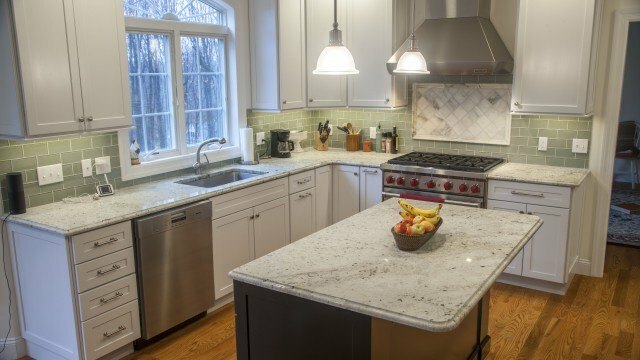 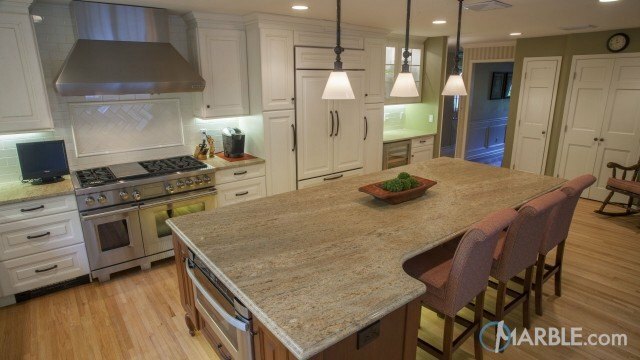 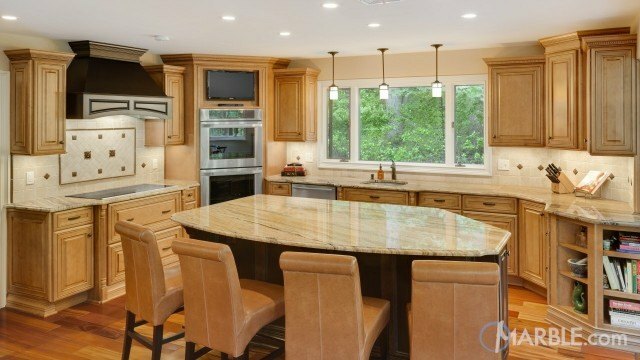 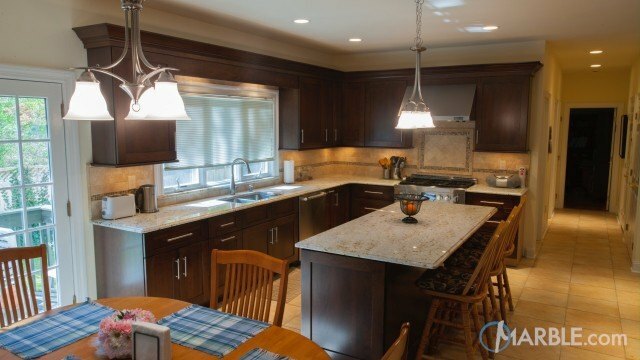 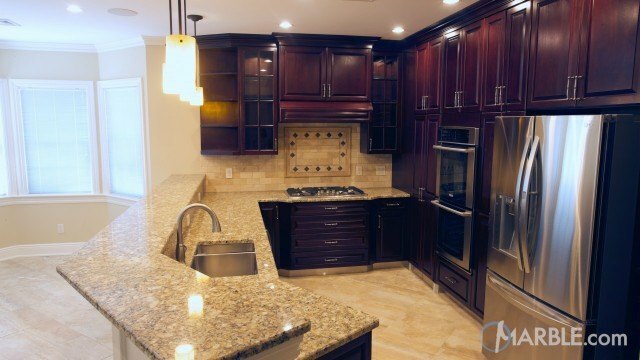 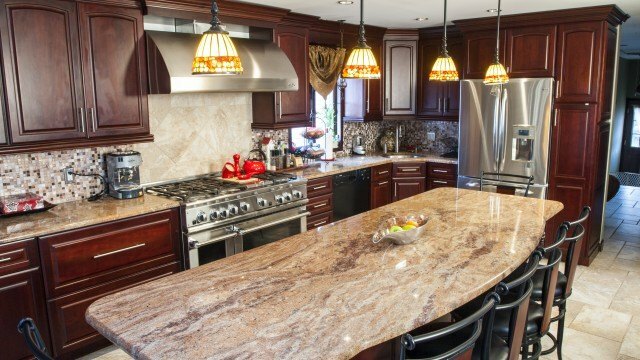 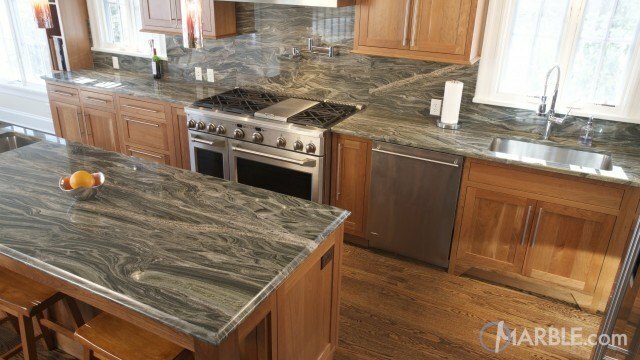 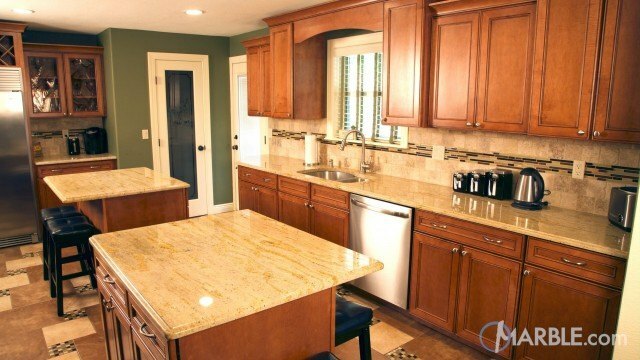 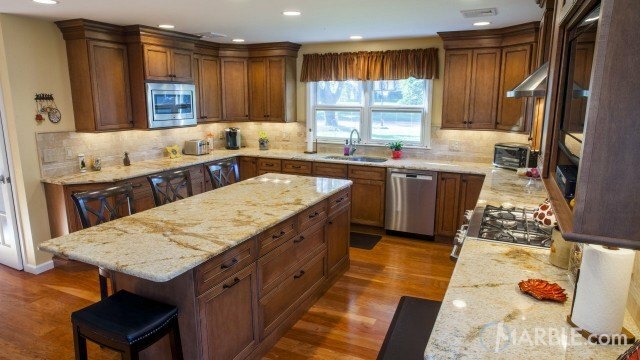 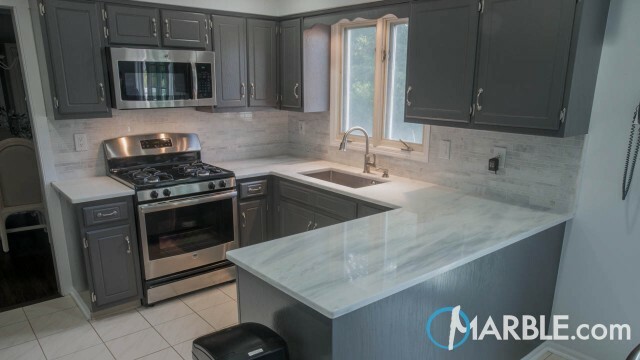 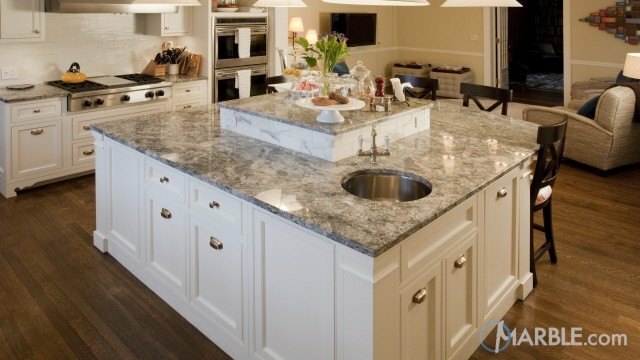 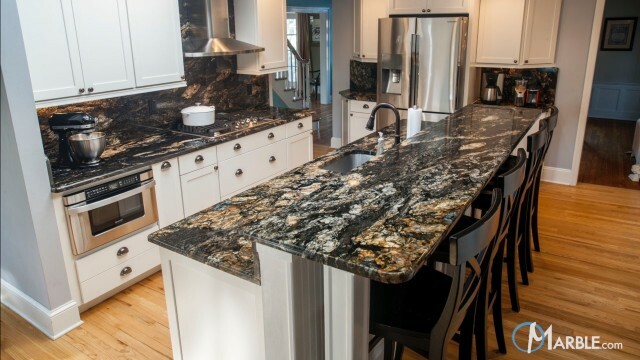 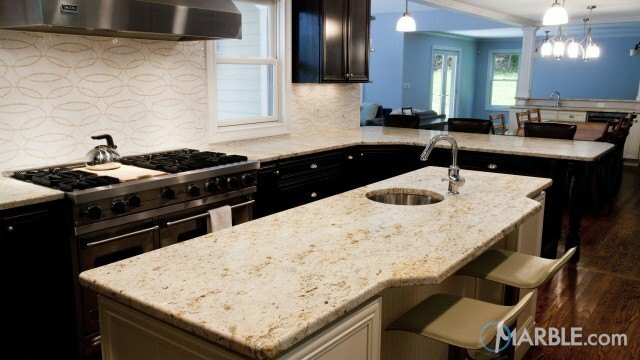 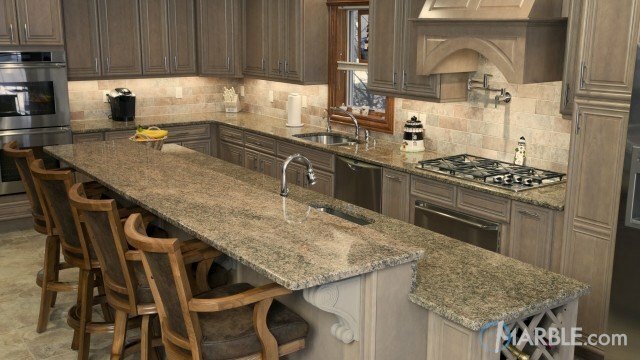 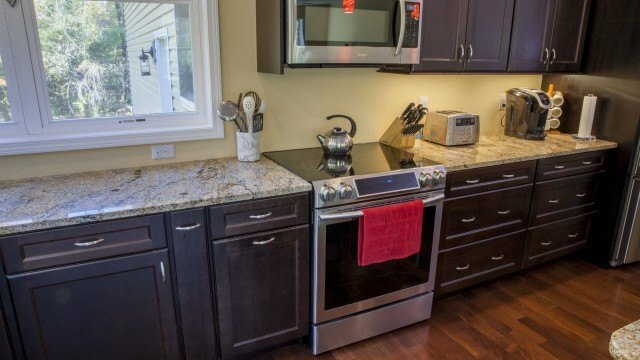 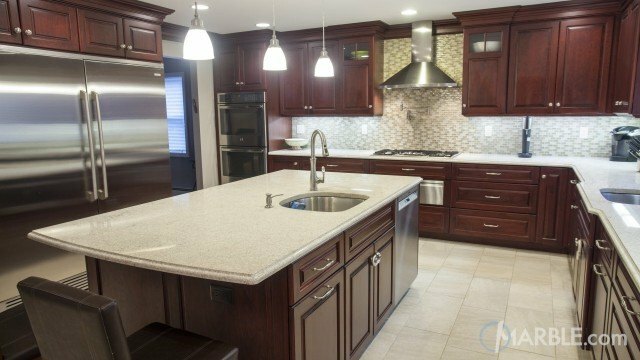 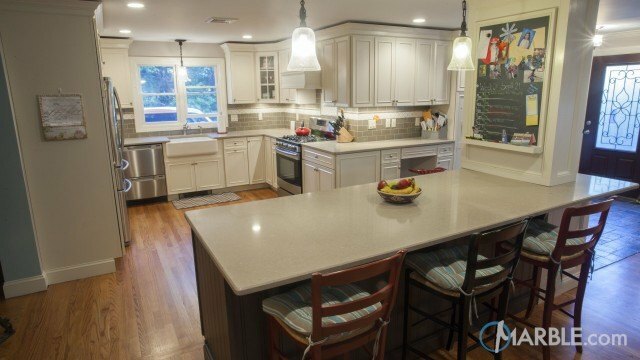 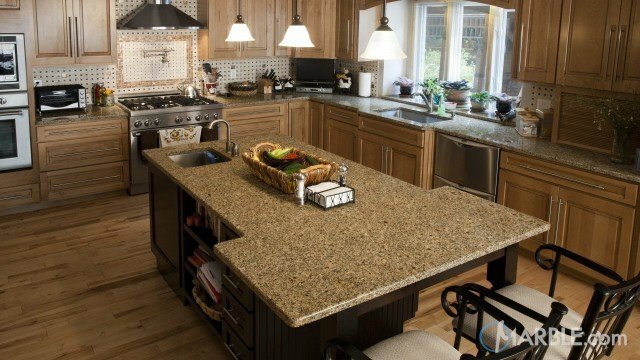 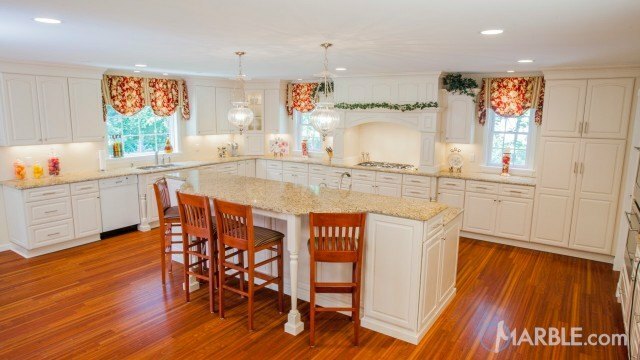 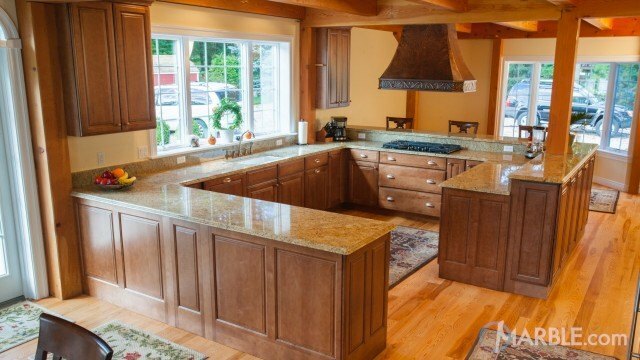 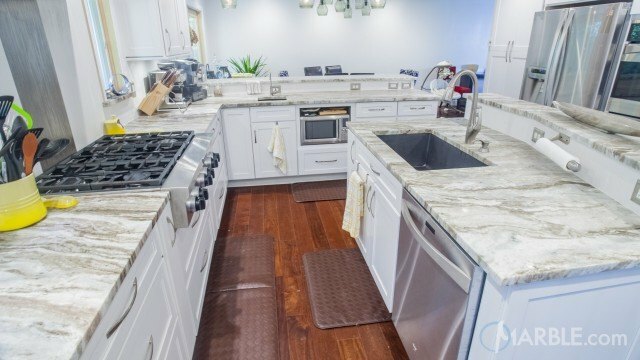 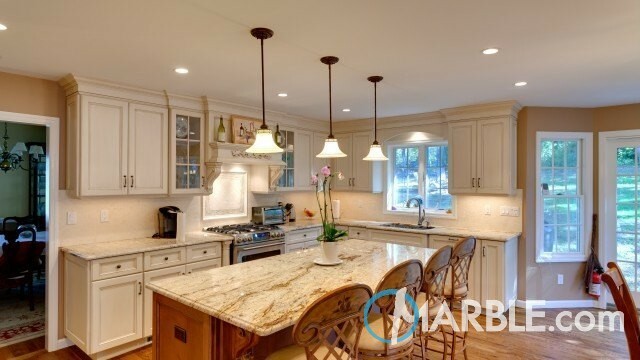 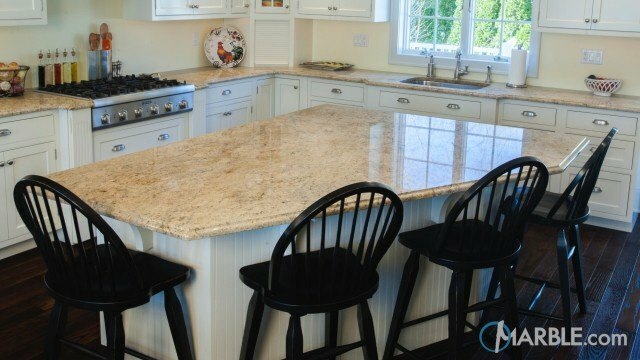 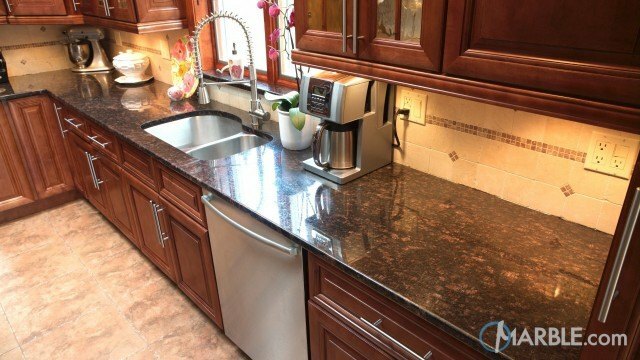 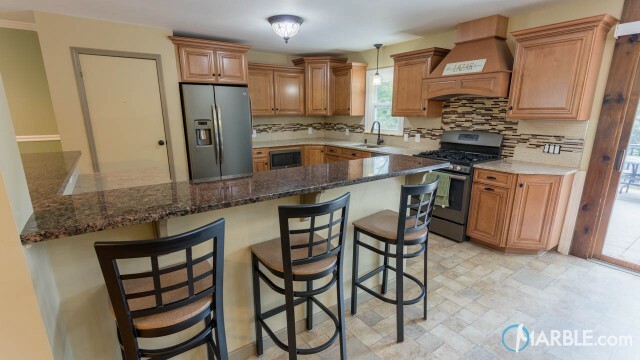 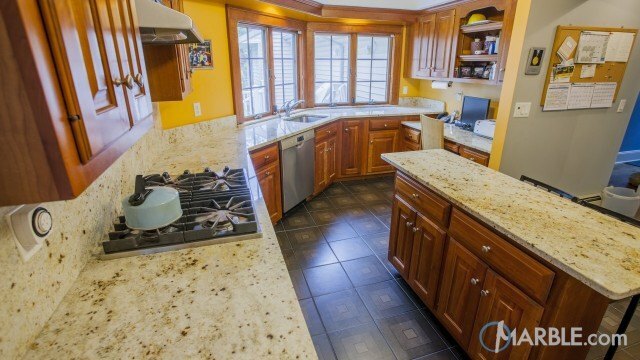 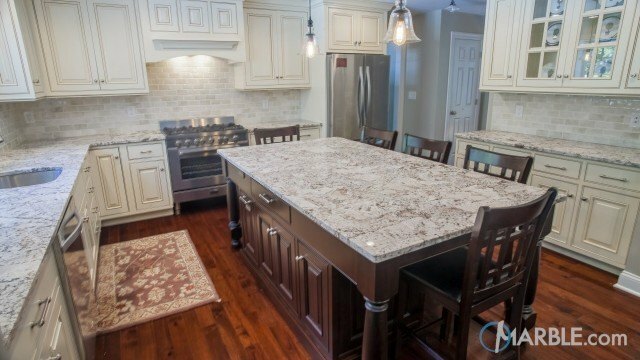 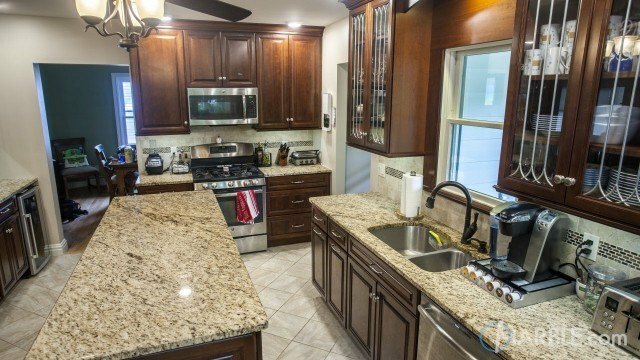 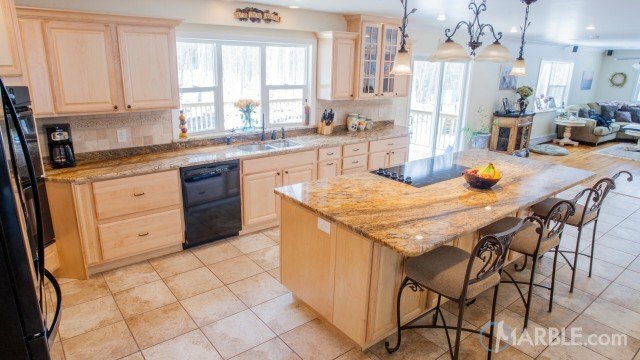 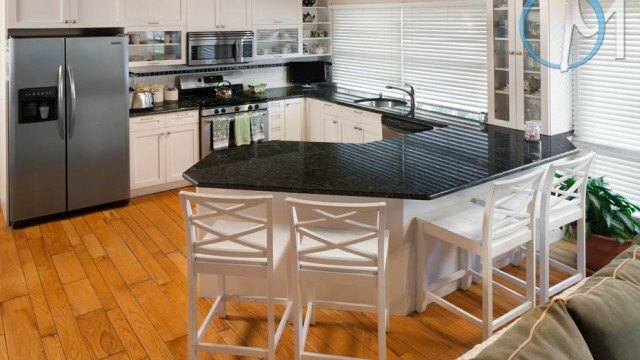 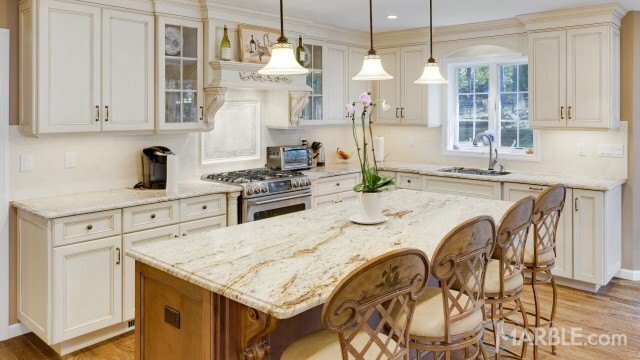 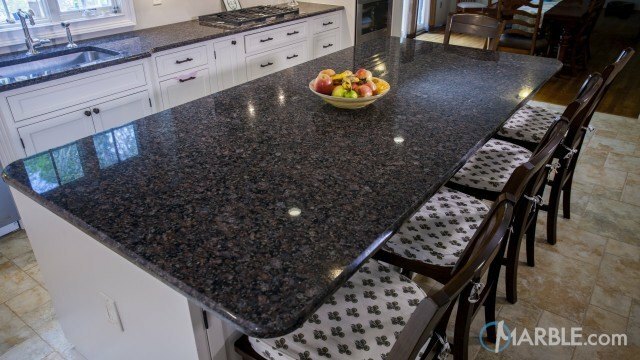 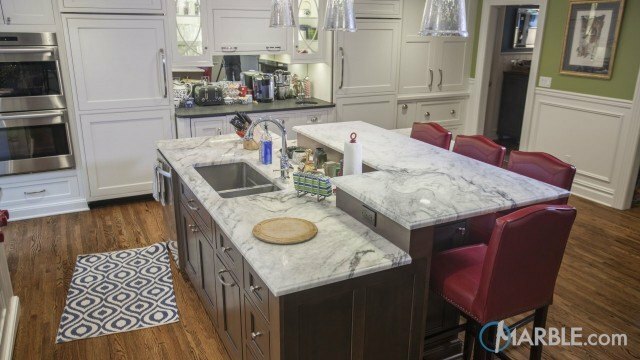 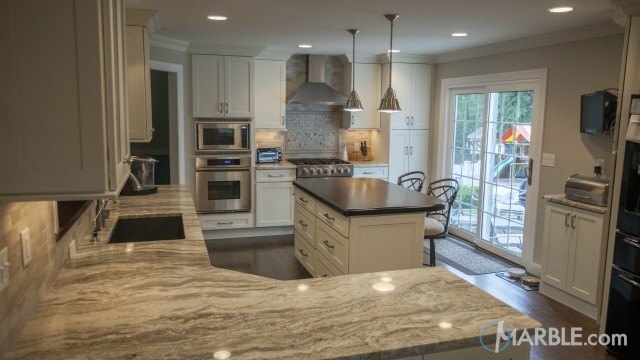 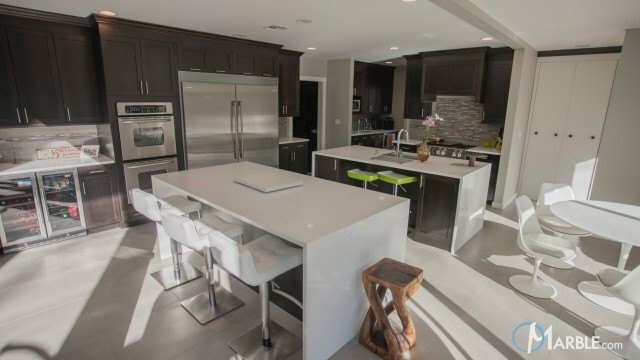 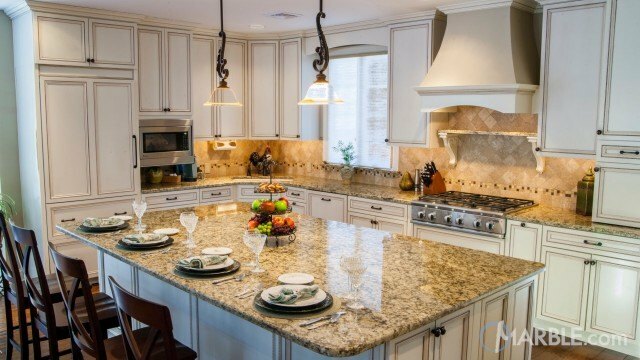 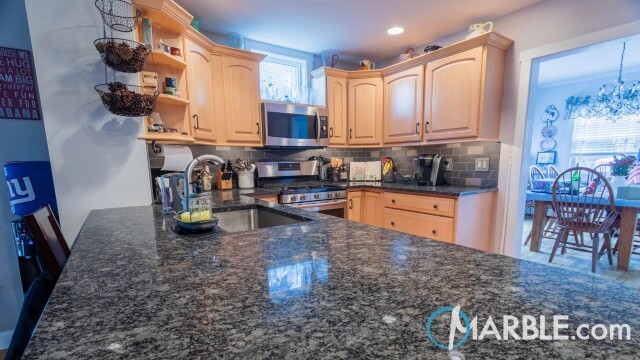 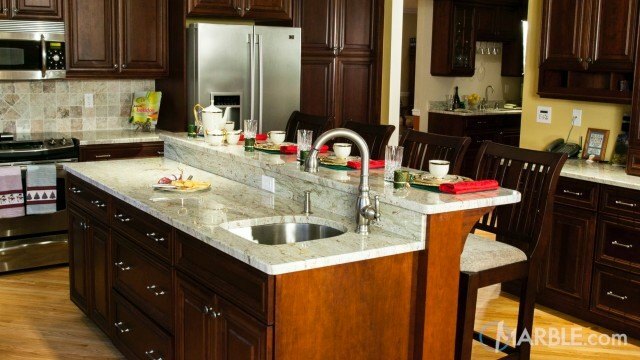 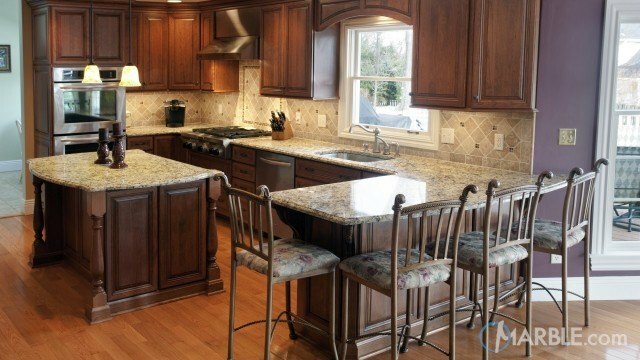 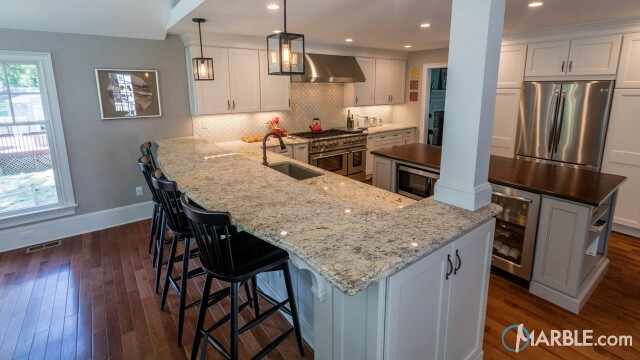 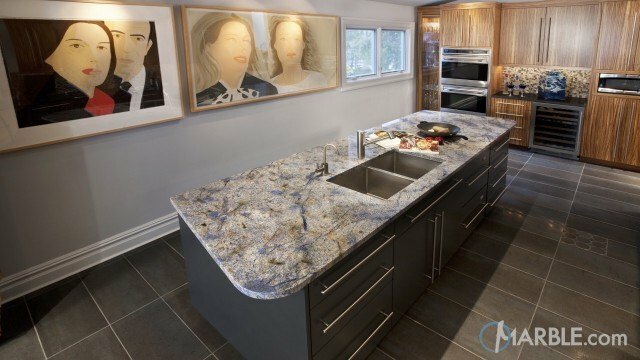 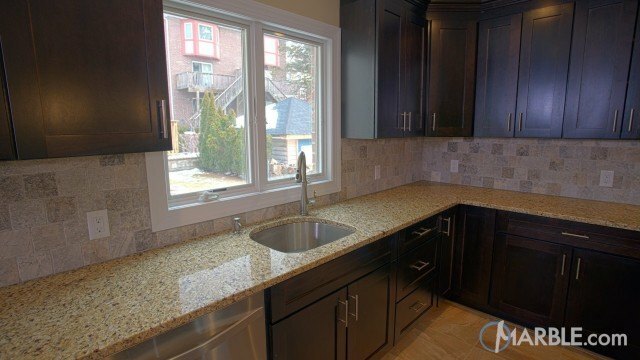 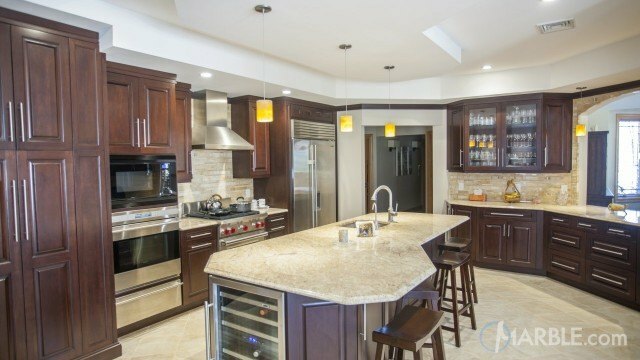 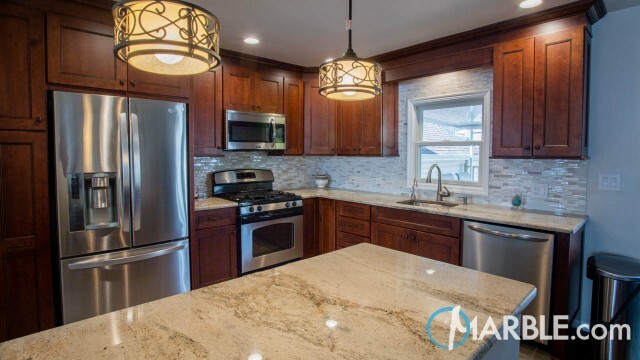 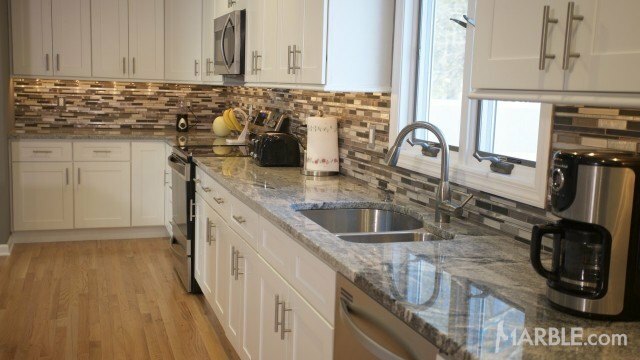 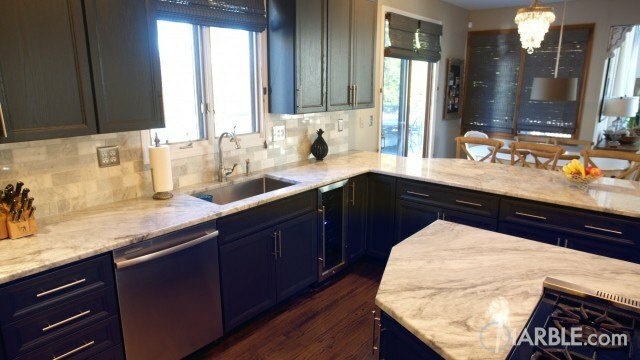 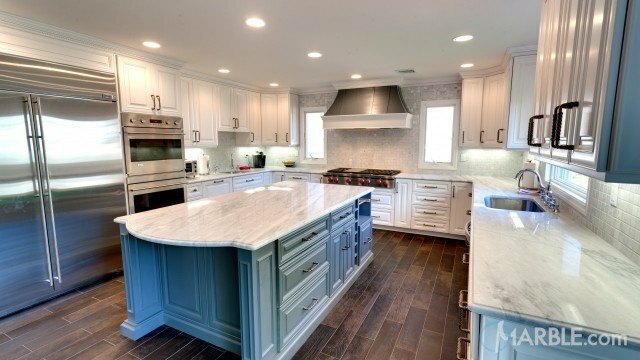 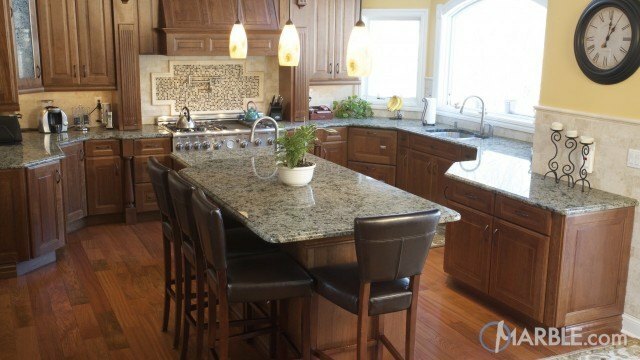 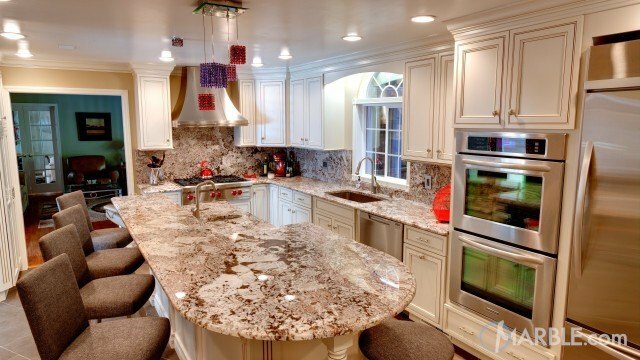 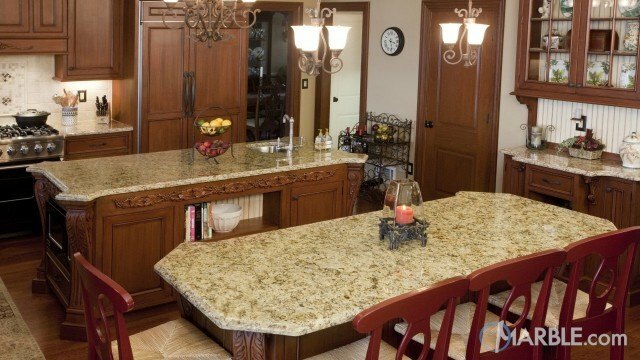 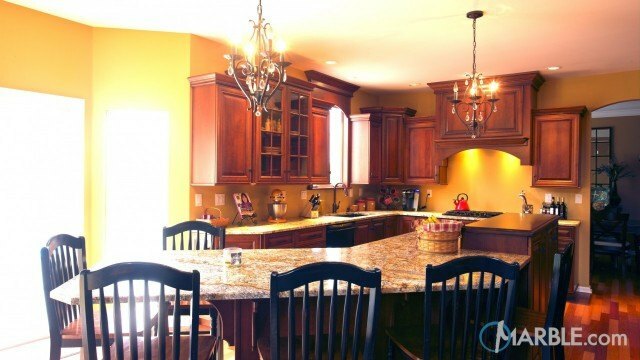 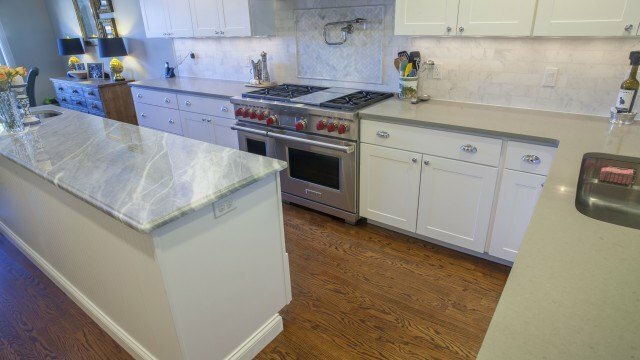 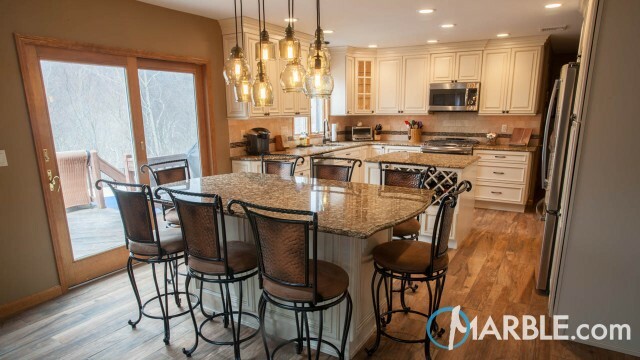 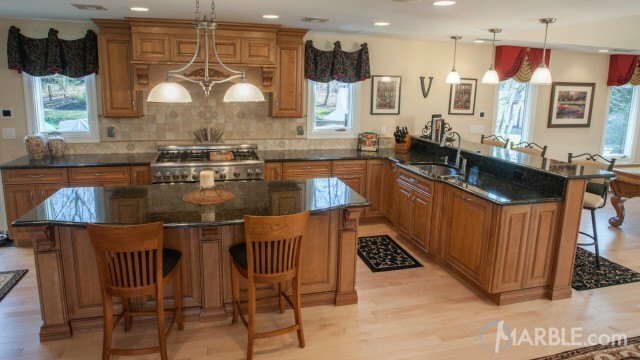 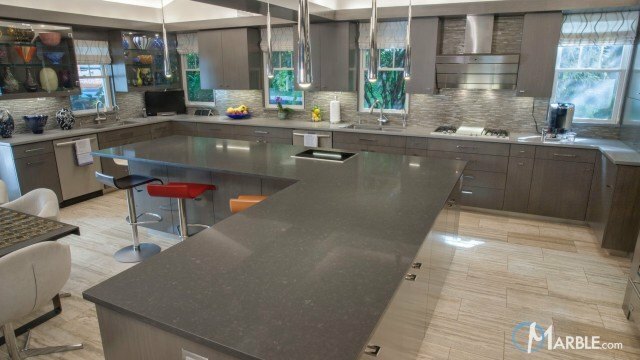 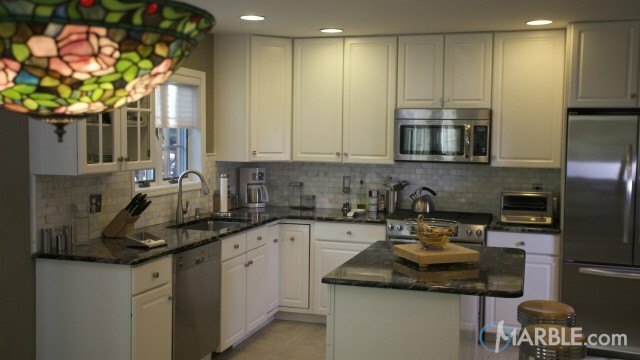 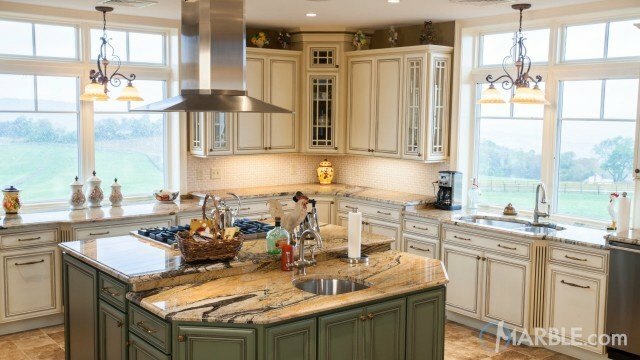 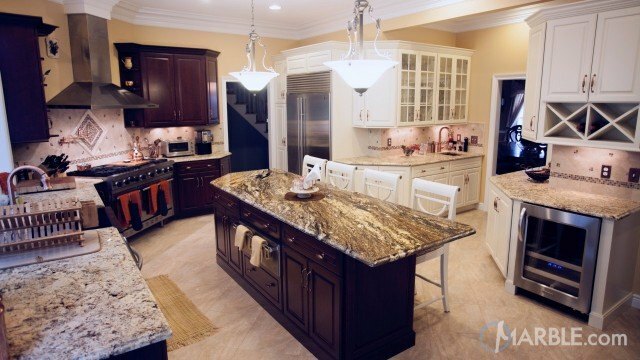 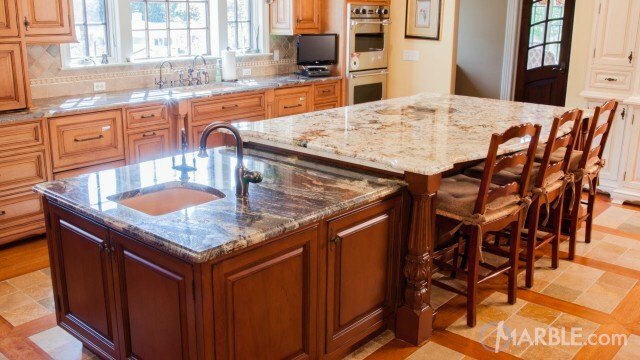 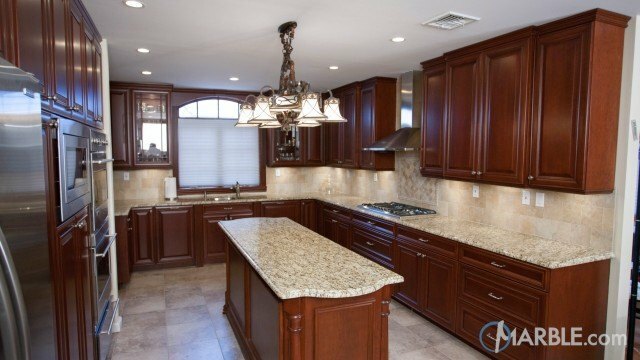 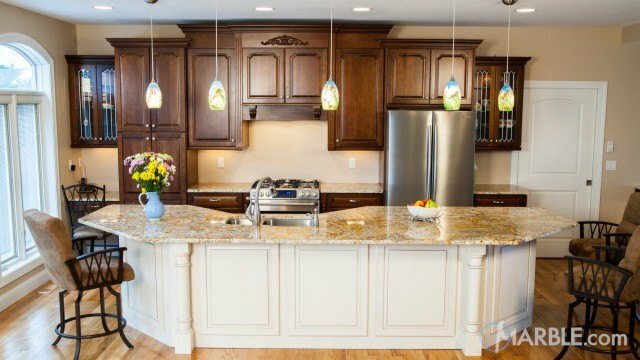 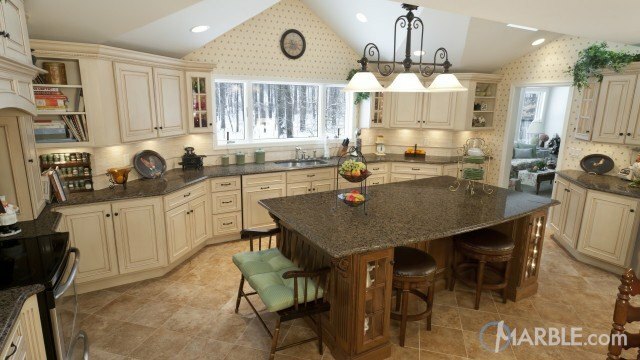 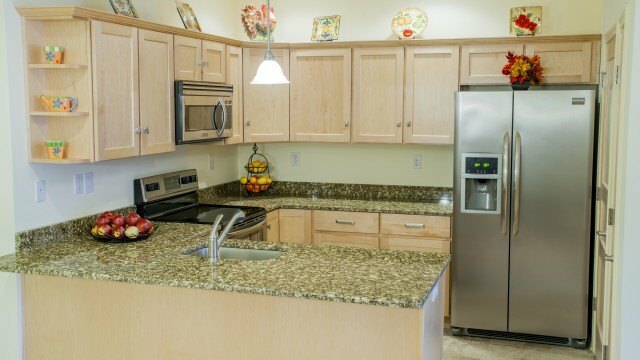 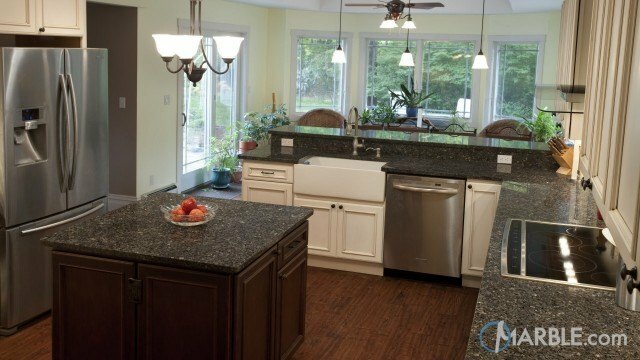 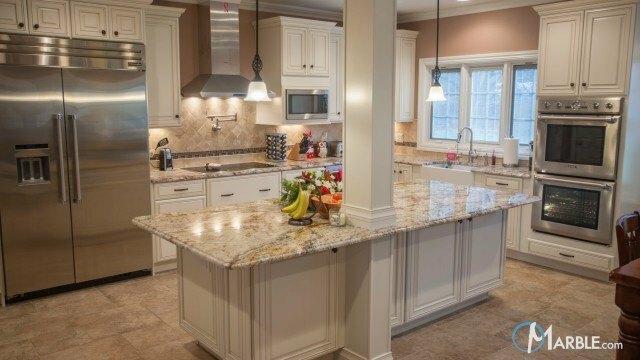 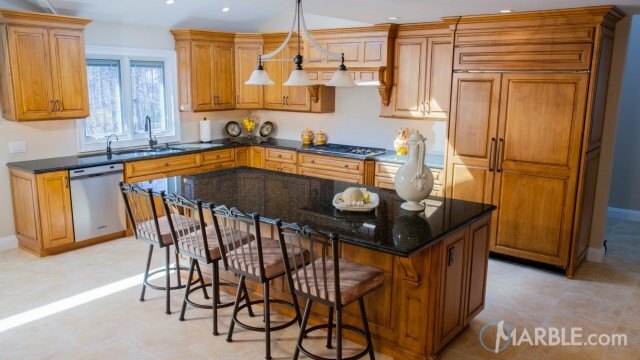 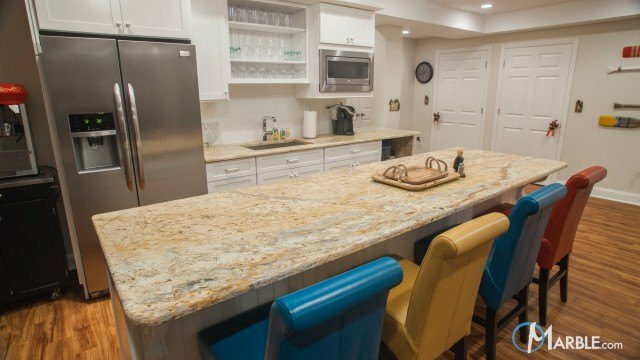 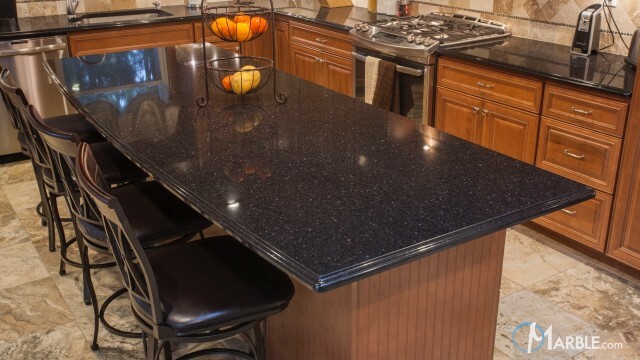 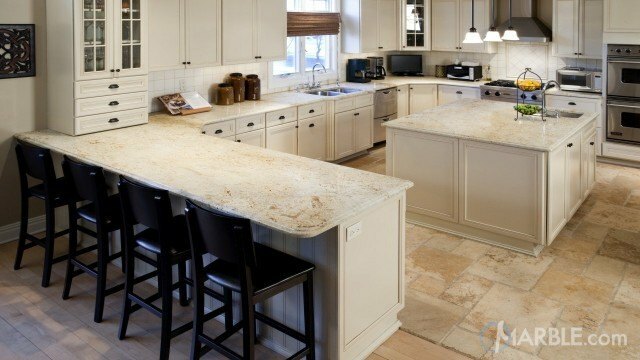 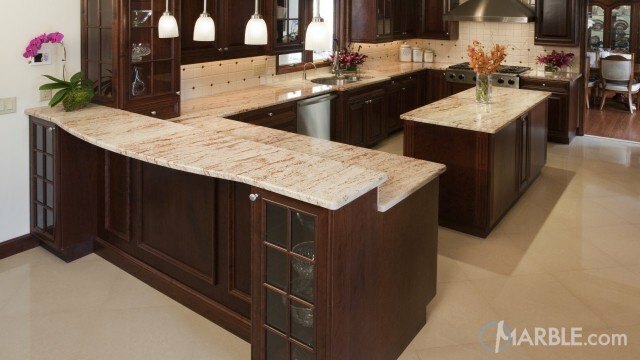 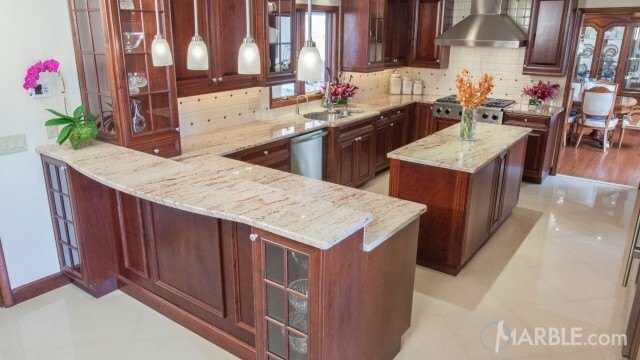 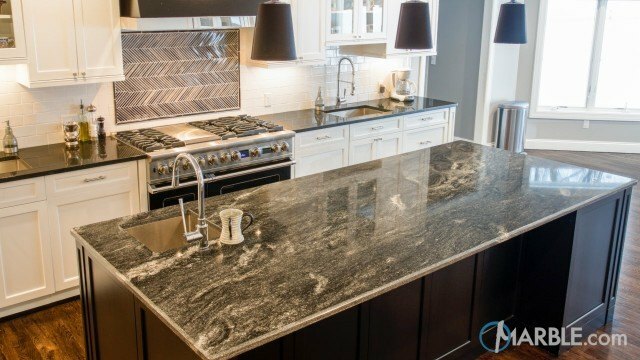 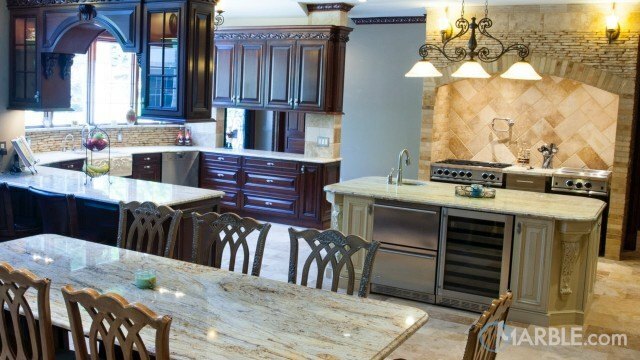 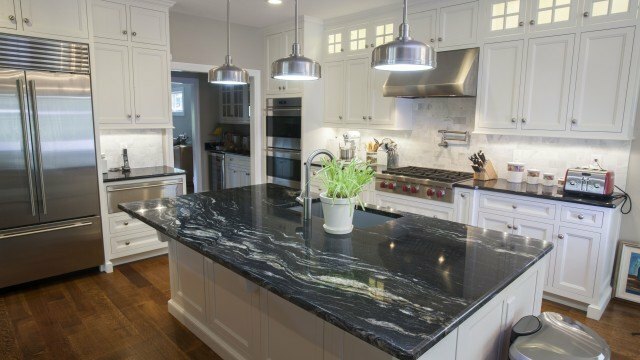 Giallo Ornamental granite counter top pairs nicely with the dark wooden cabinets that are accented with brushed silver hardware and stainless steel stove. 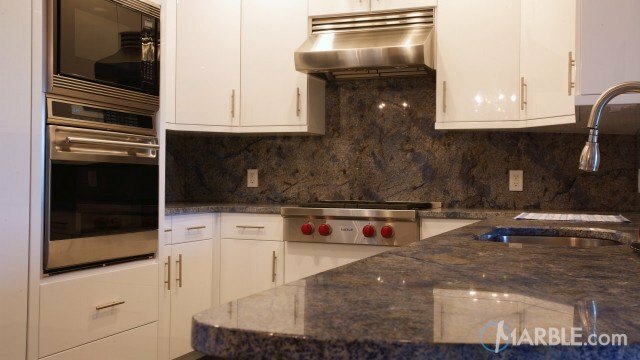 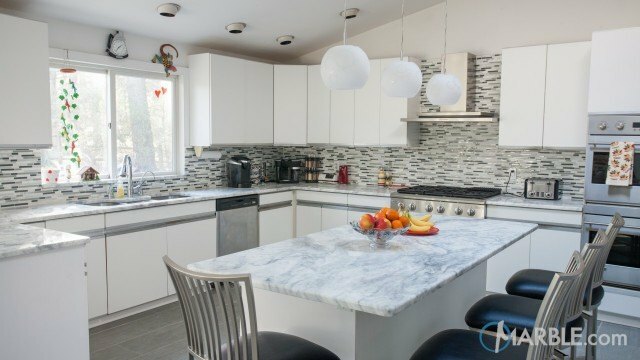 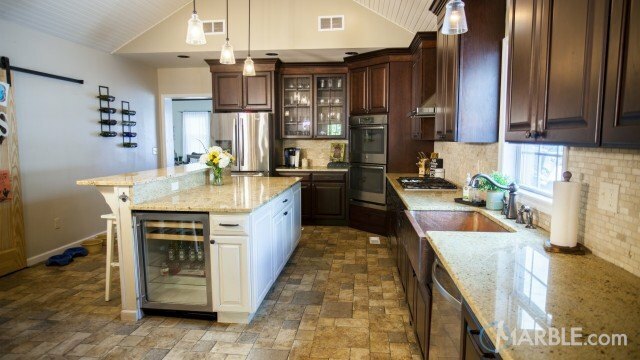 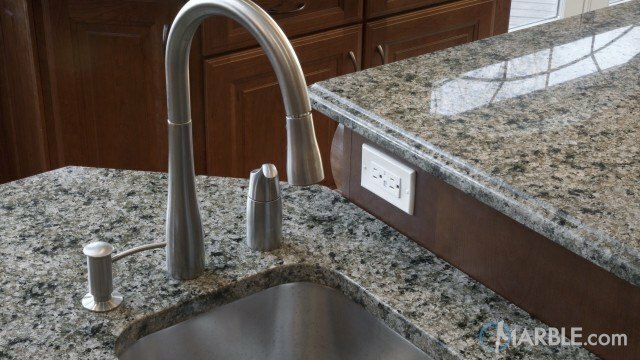 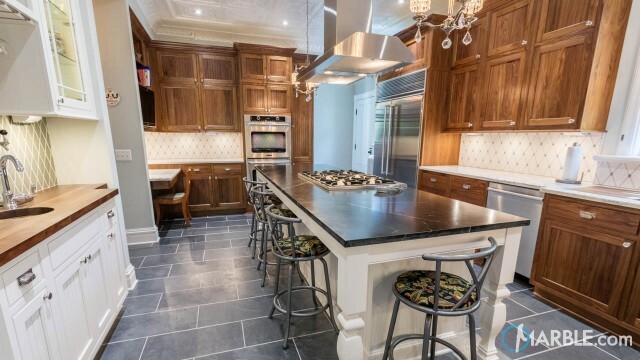 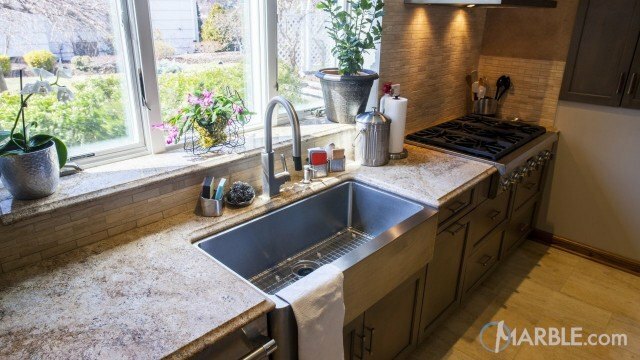 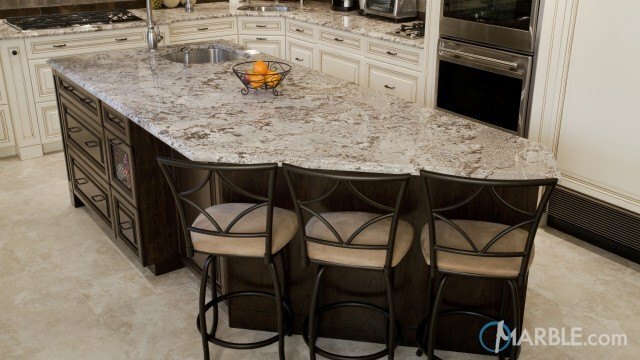 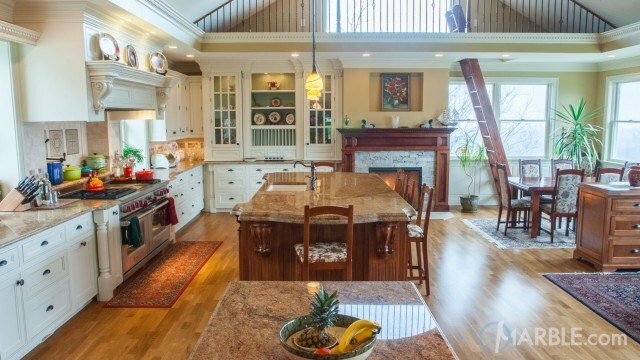 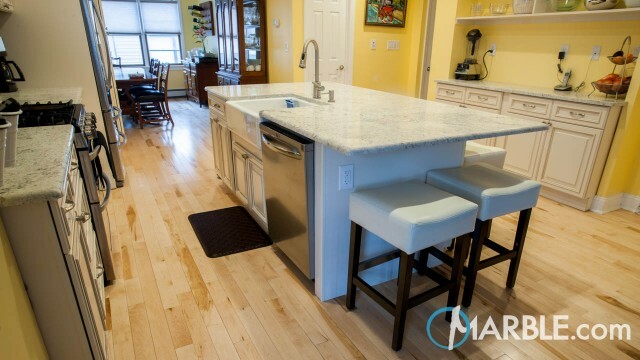 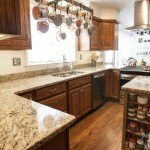 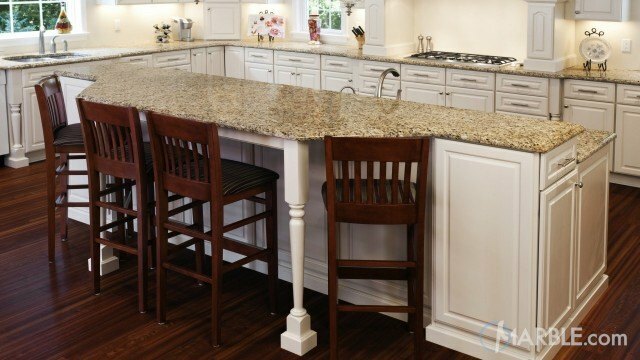 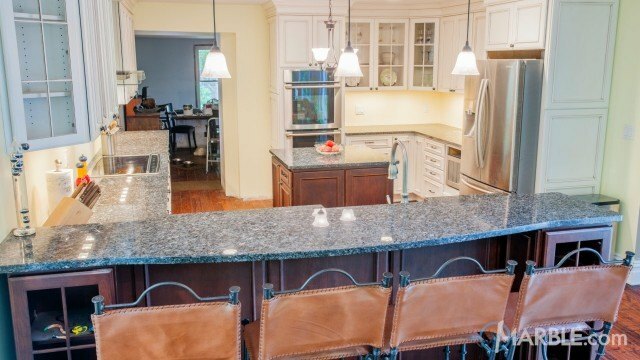 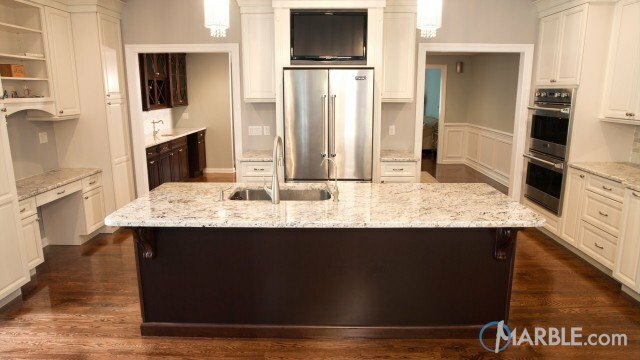 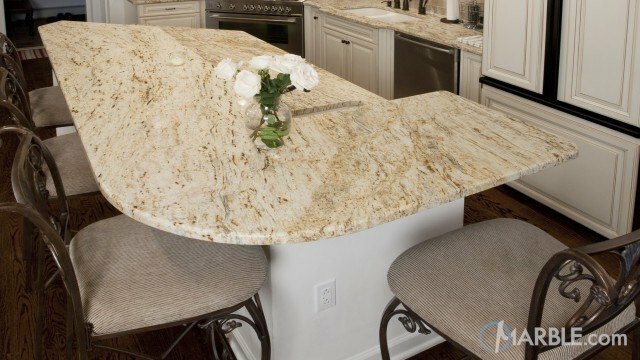 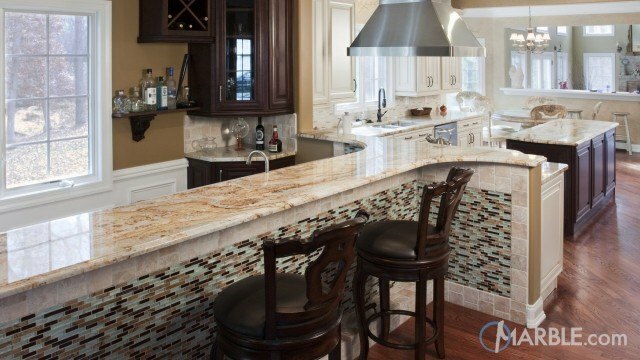 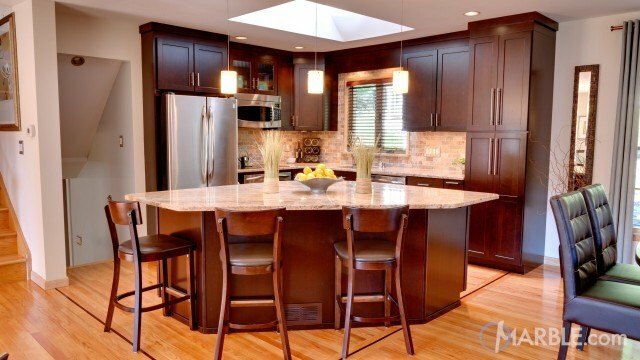 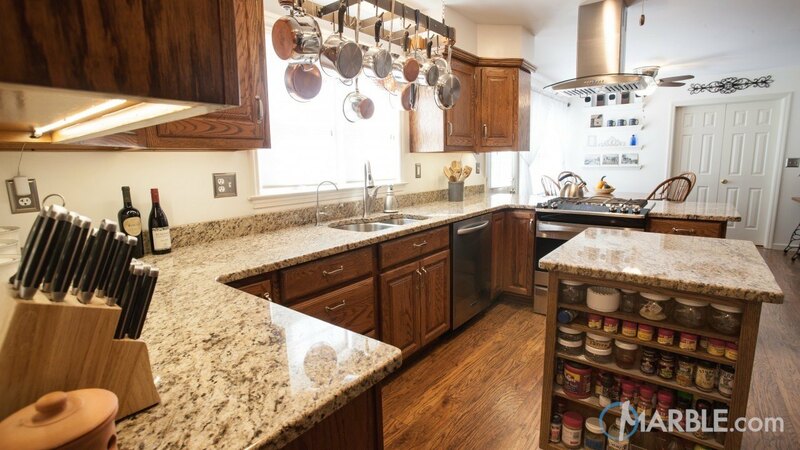 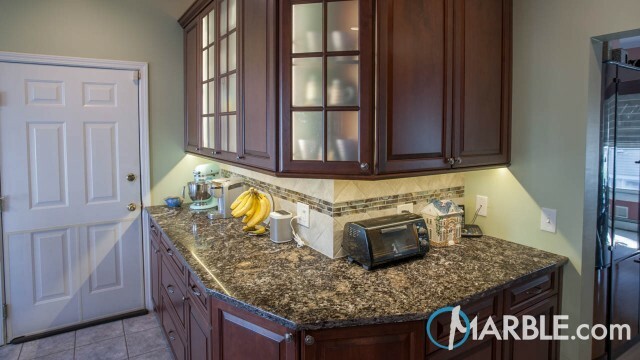 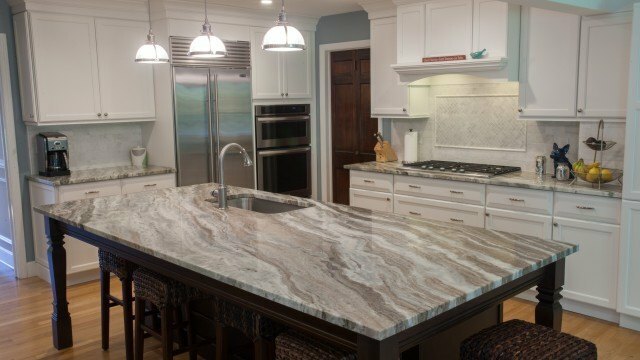 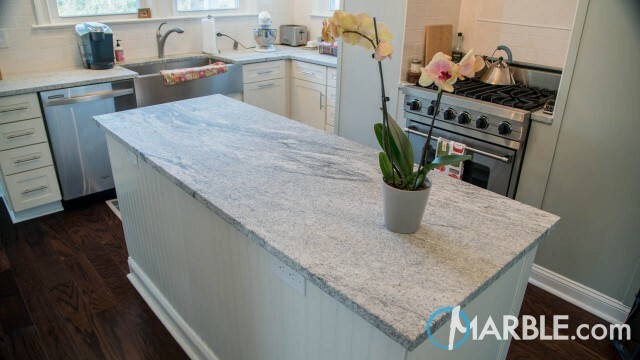 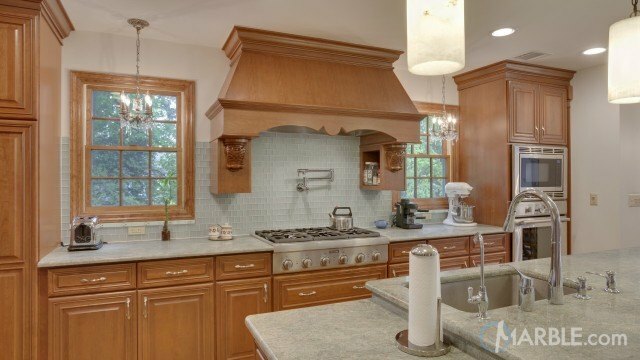 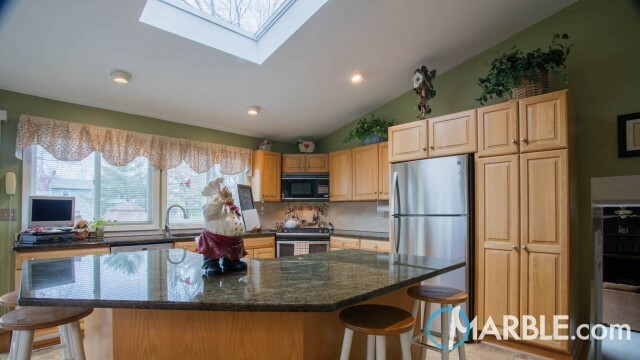 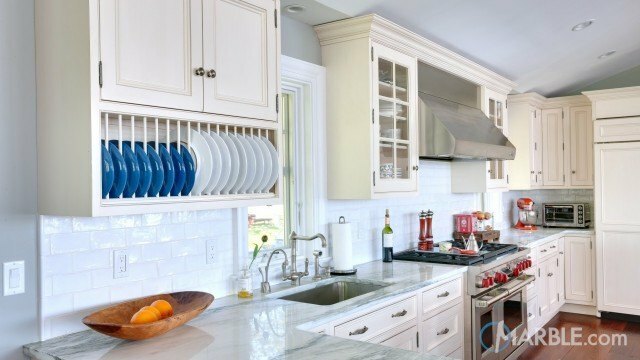 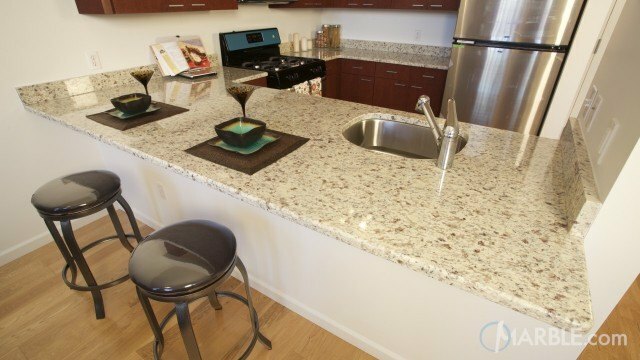 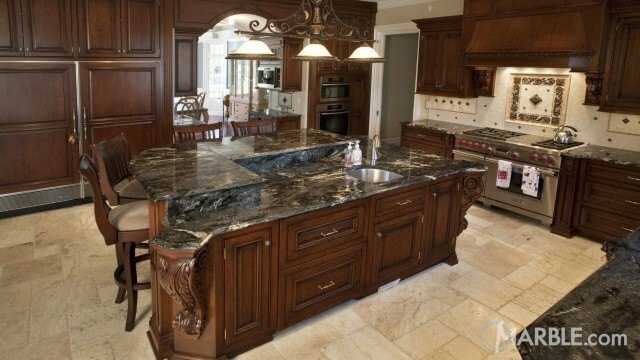 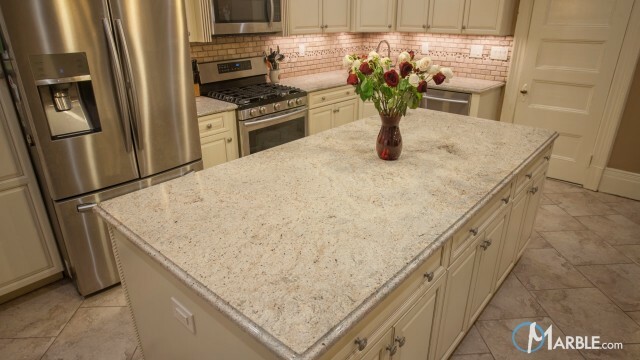 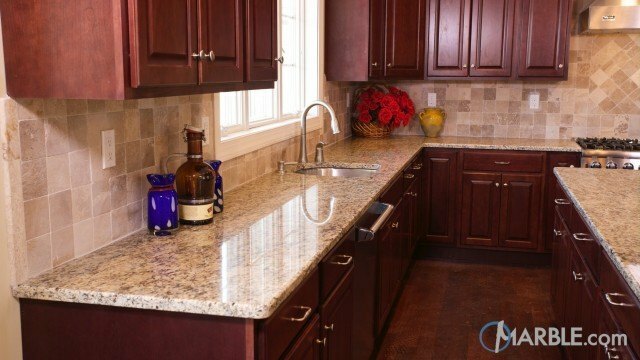 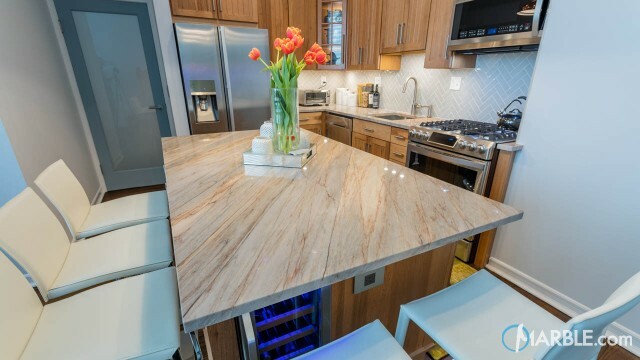 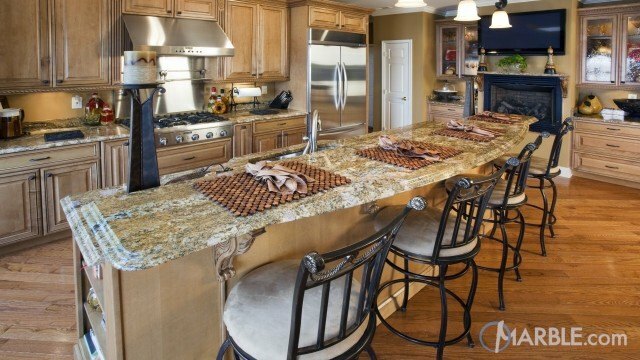 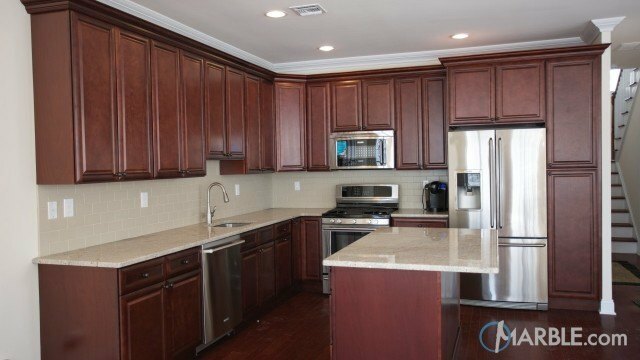 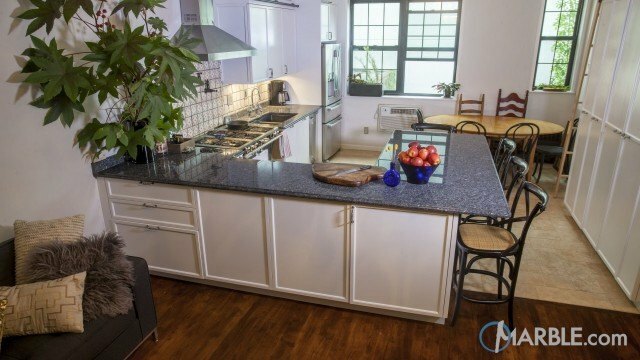 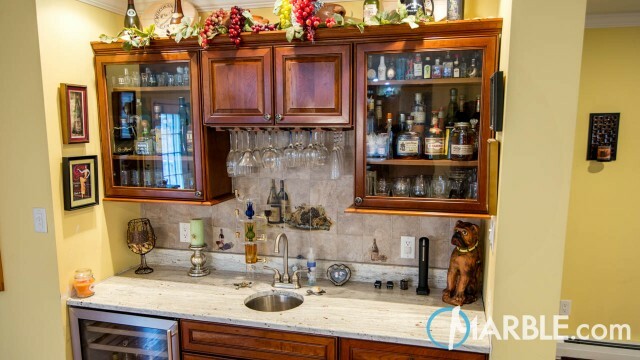 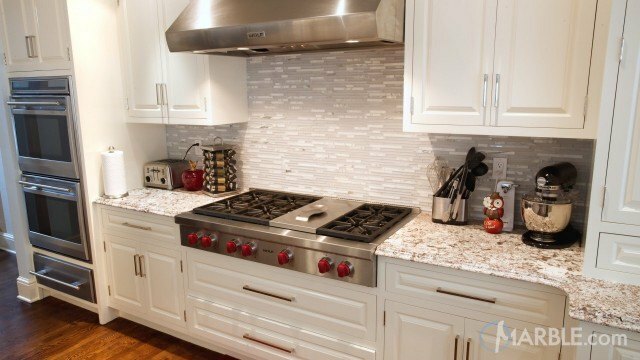 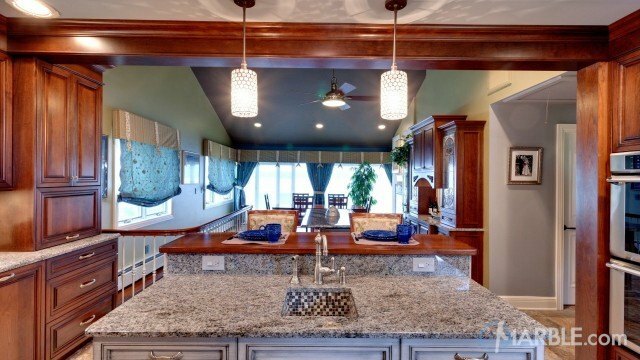 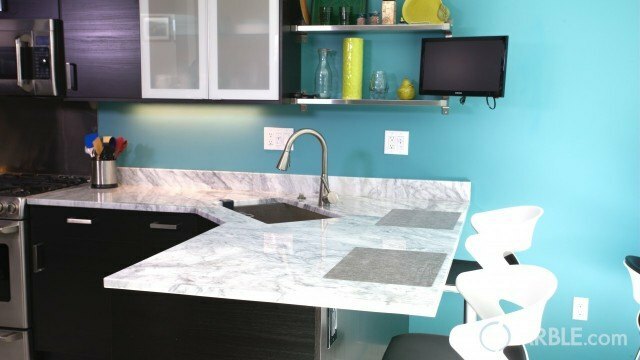 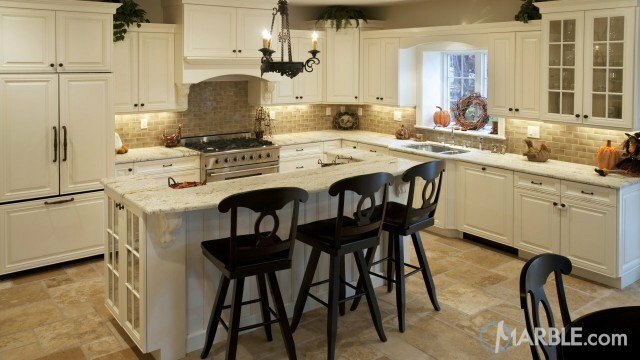 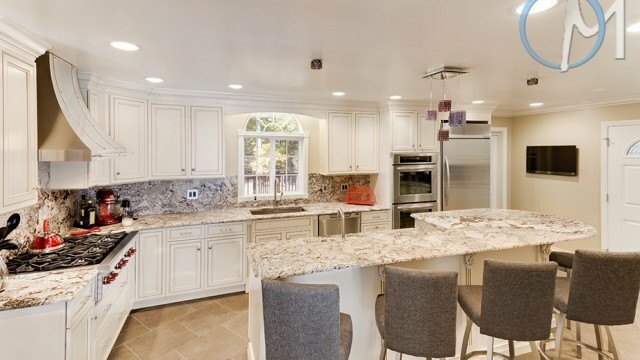 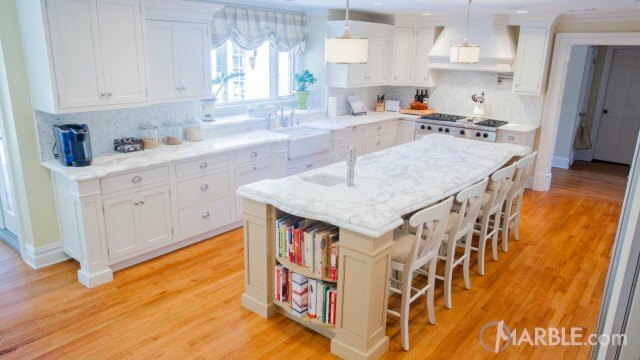 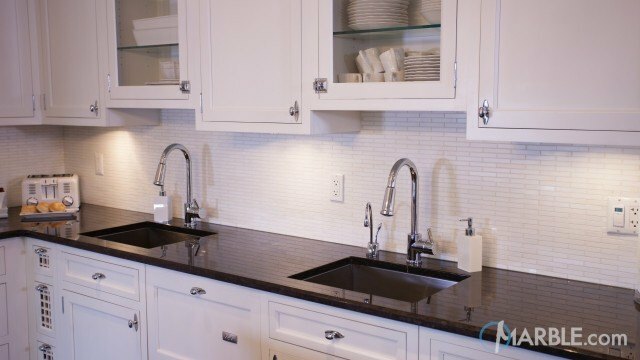 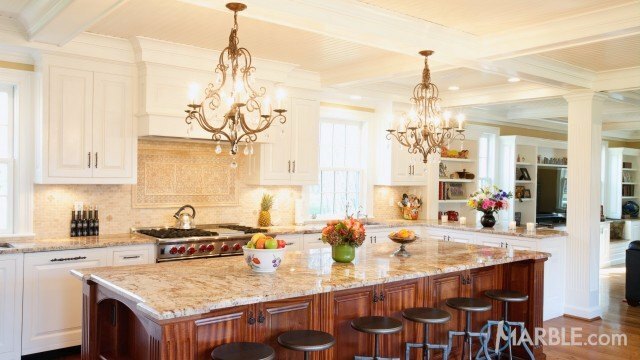 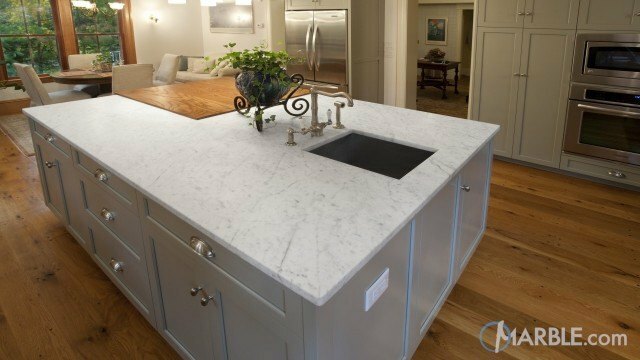 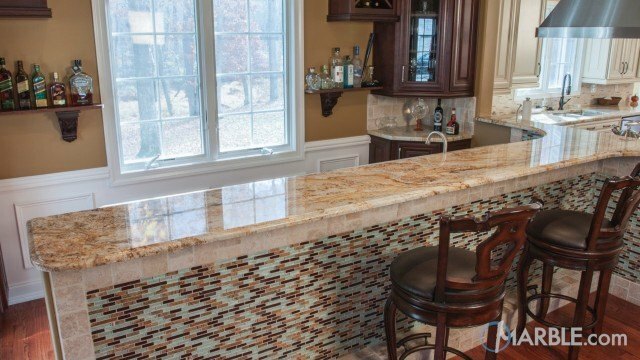 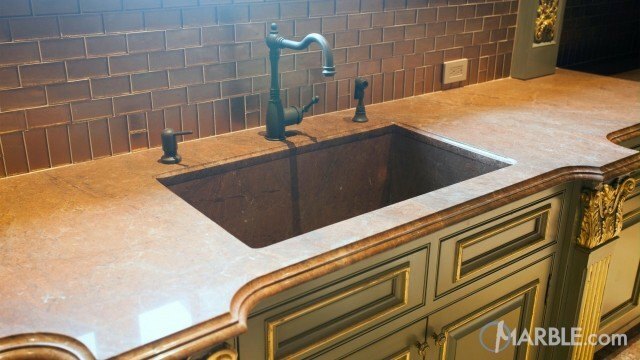 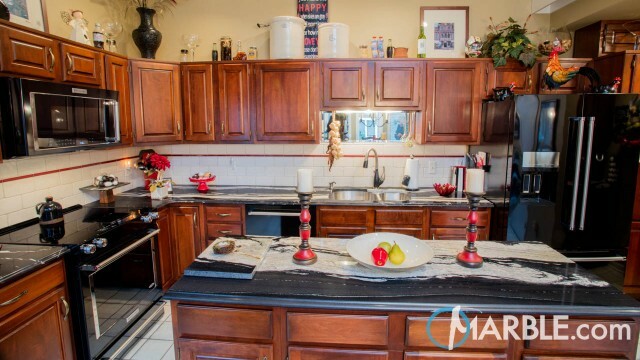 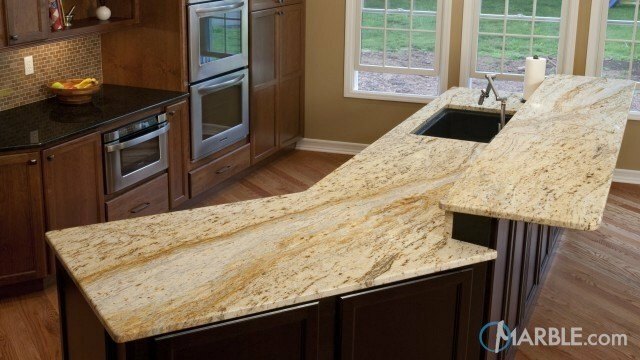 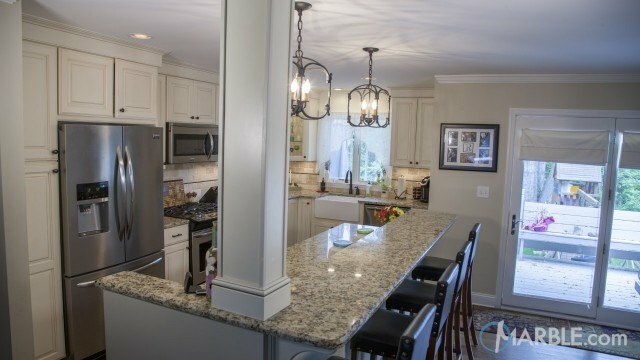 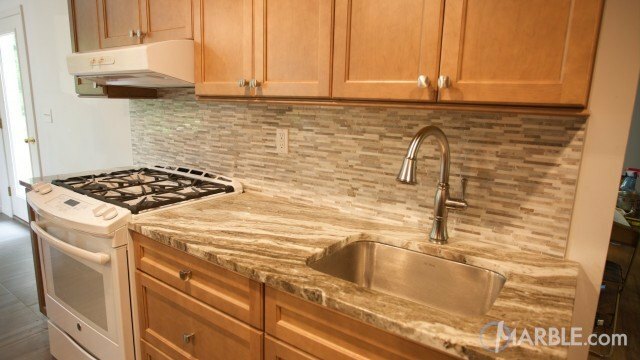 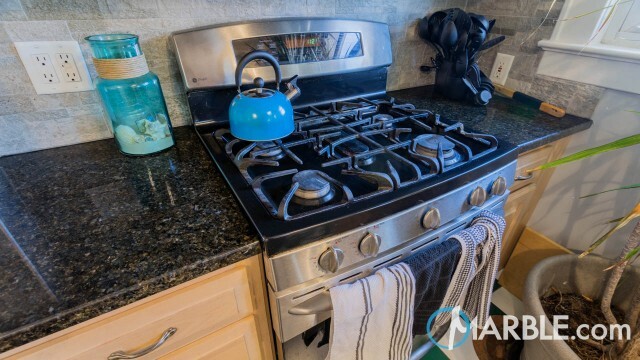 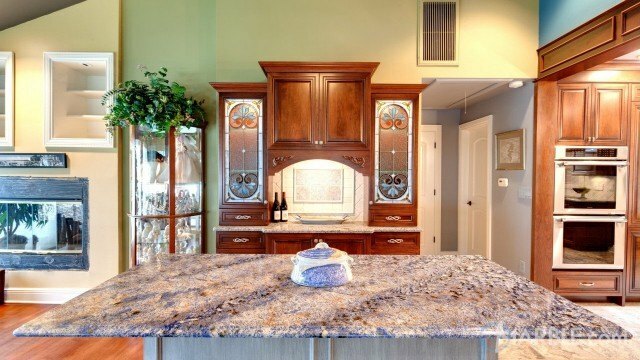 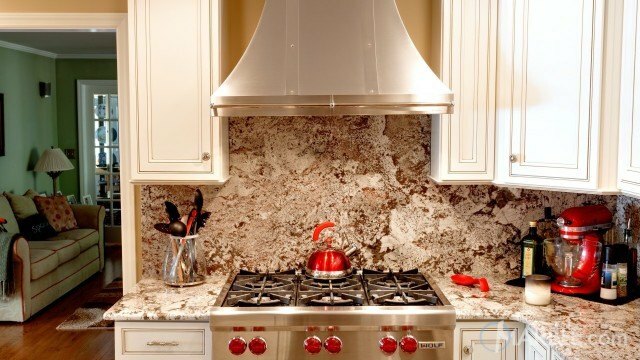 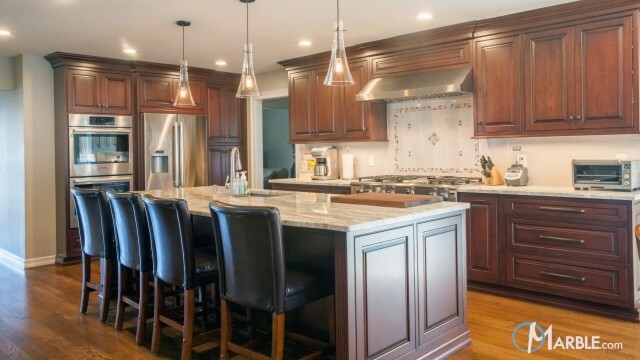 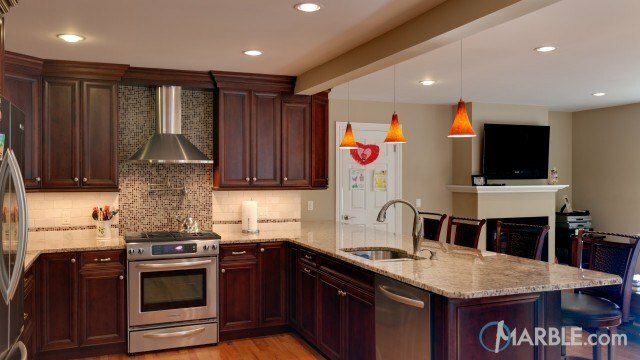 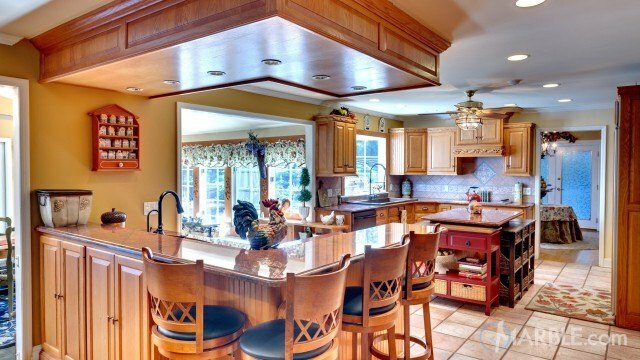 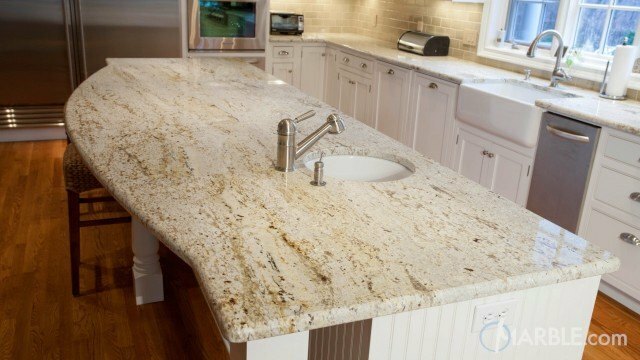 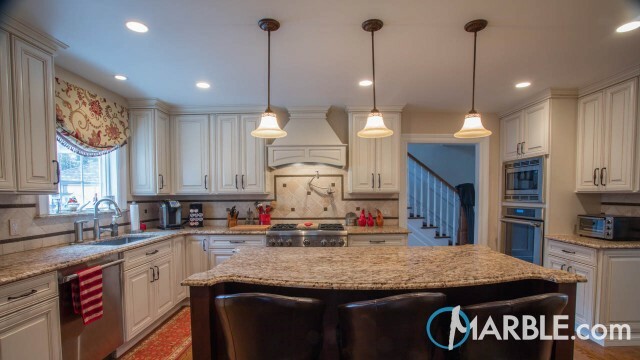 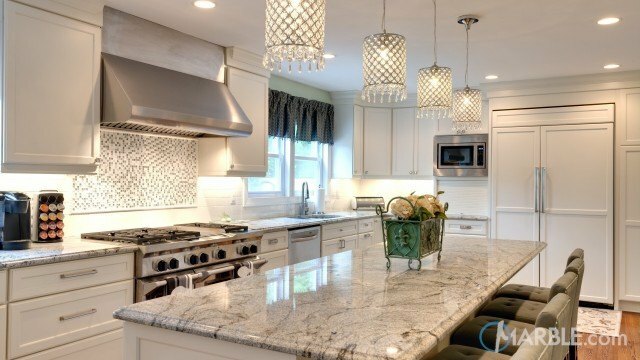 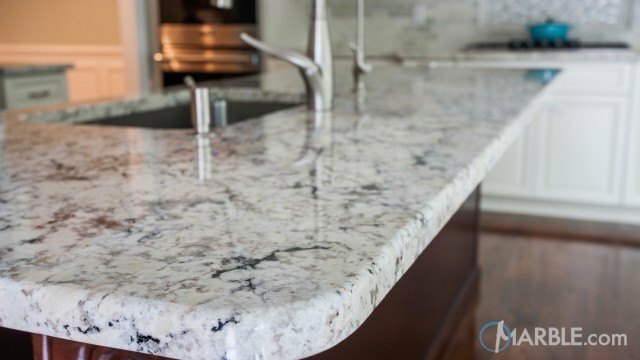 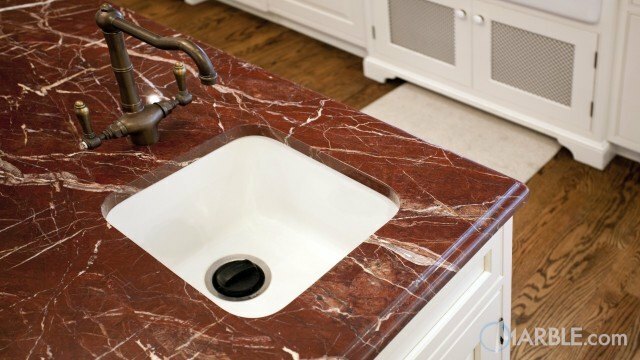 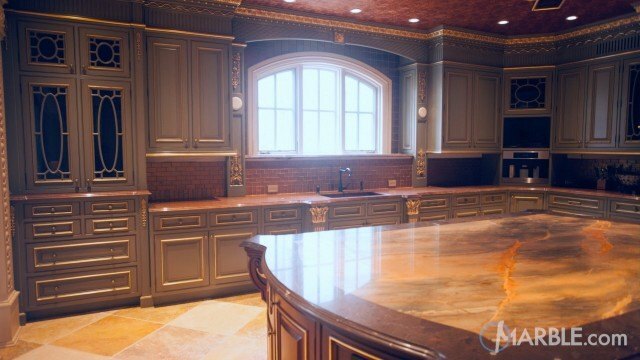 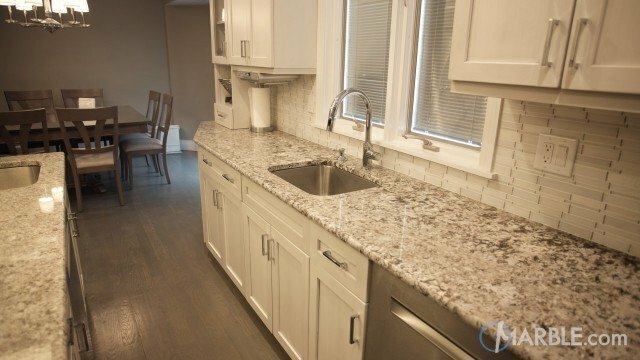 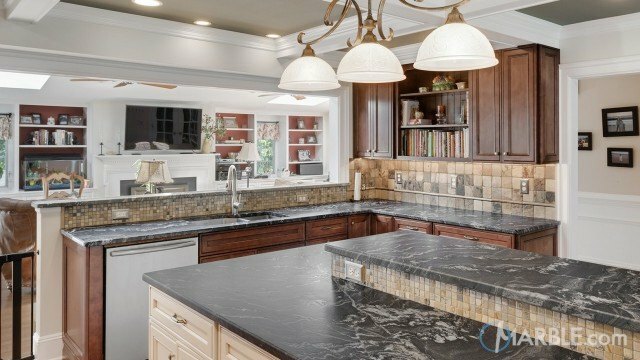 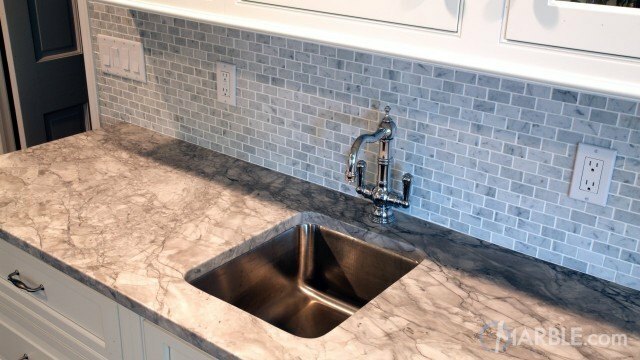 The granite extends up to serve as the back splash. 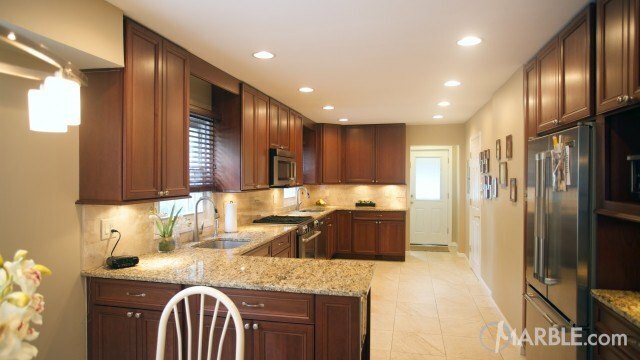 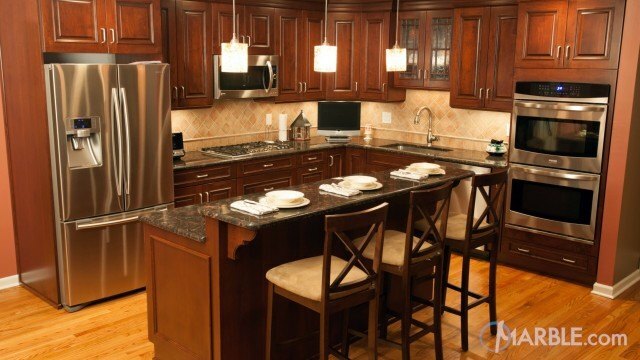 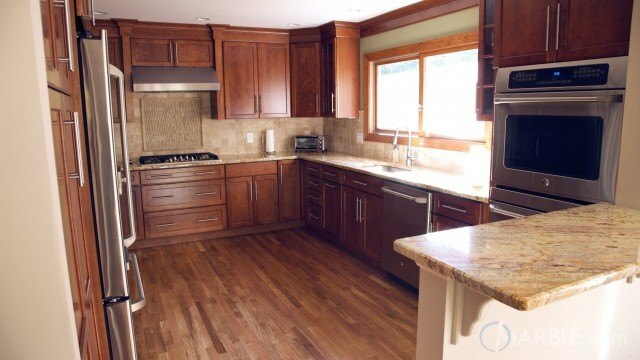 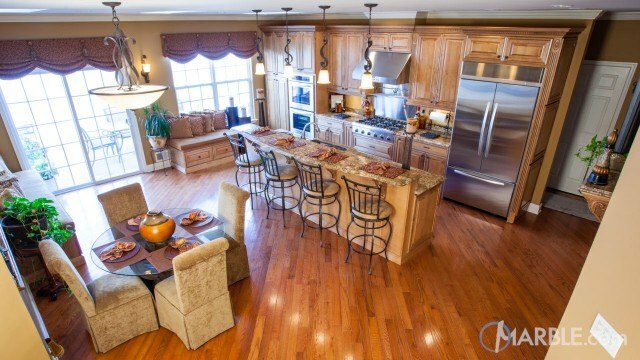 The entire room has a deep caramel color which gives it a nice cozy feel.